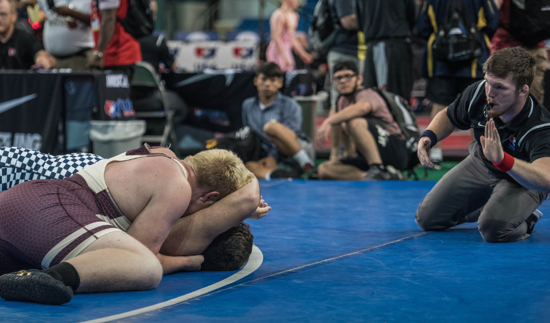 The funeral will be a traditional Muslim graveside service on Friday, 12 April, at 2:30 PM. 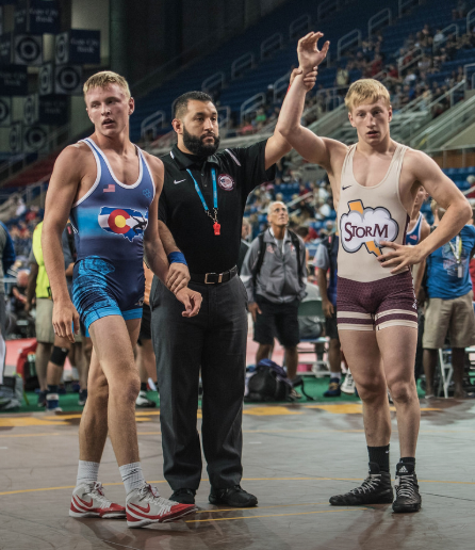 The service is open to anyone wishing to attend. 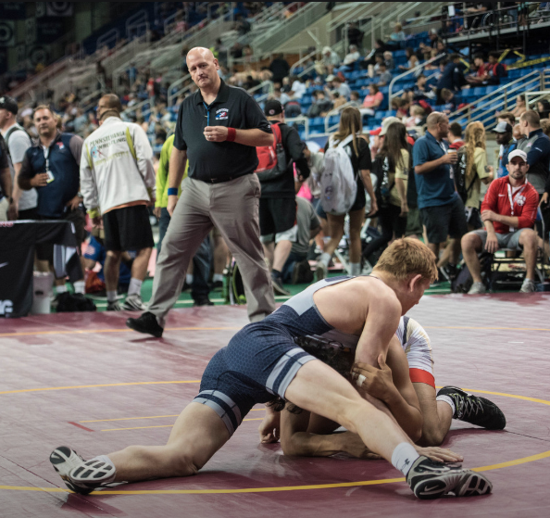 Mo Babi, from Colorado, passed away after recent struggles with health issues. 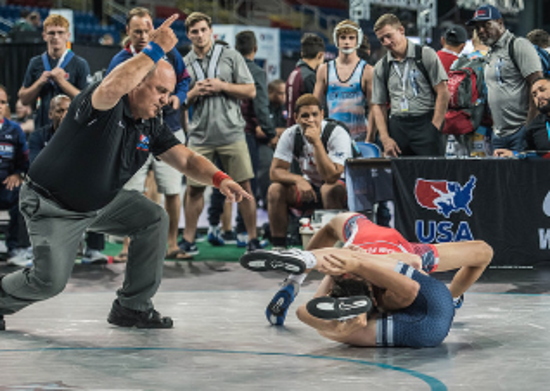 Mo has been involved with USA Wrestling for many years as a State leader and Mat Official. 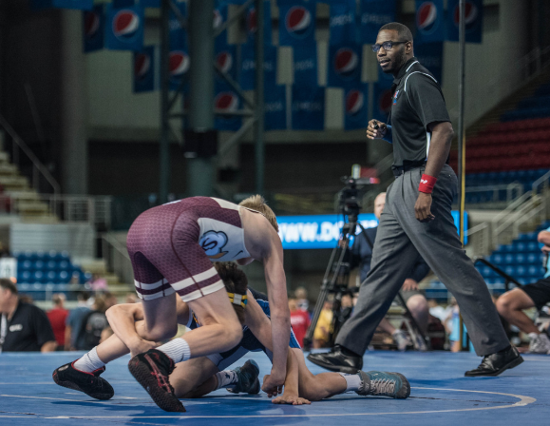 He served multiple times as the State Director for Colorado and worked for many years as a Mat Official at many Regional and National events. 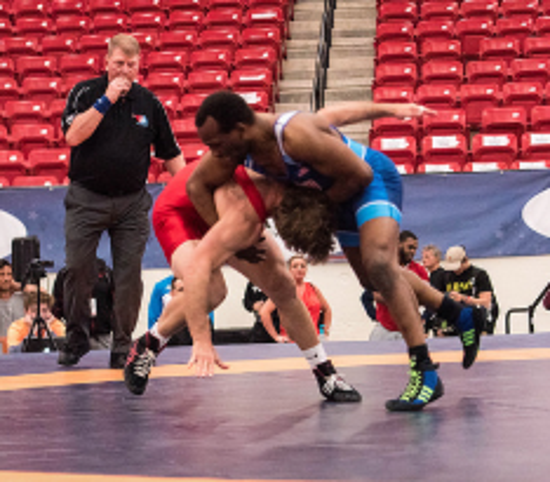 Mo was instrumental in the development of the concepts of Dual competitions. 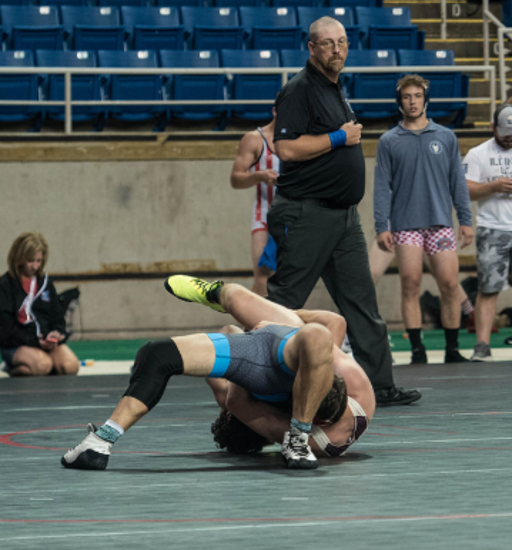 Mo loved the Cadet Duals and started the first Dual event on two mats at a local high school. 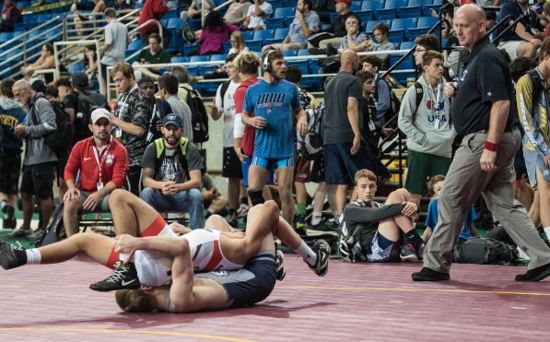 From that auspicious start it quickly grew to a National level event. 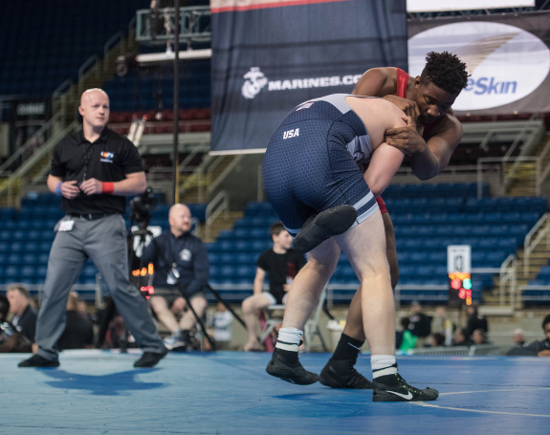 The original idea was to get many matches in a short duration competition so younger Cadets could more quickly improve their wrestling skills. 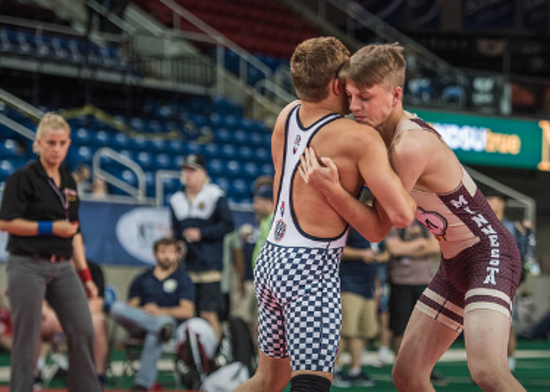 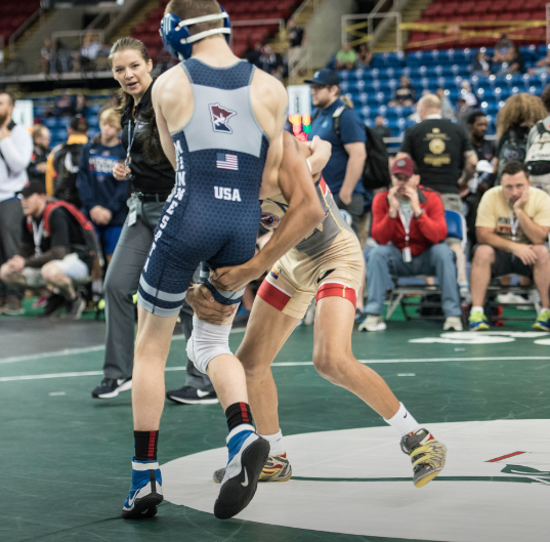 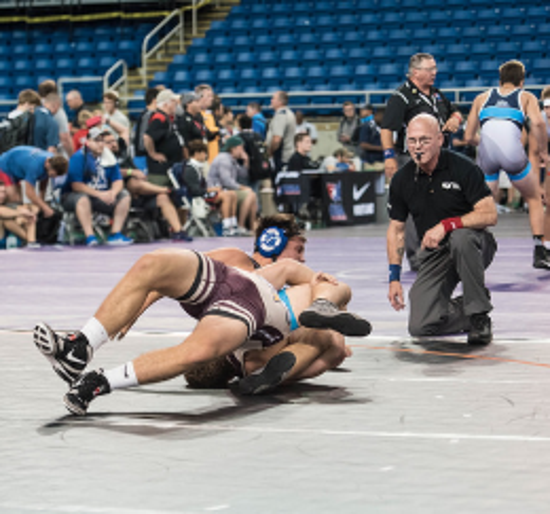 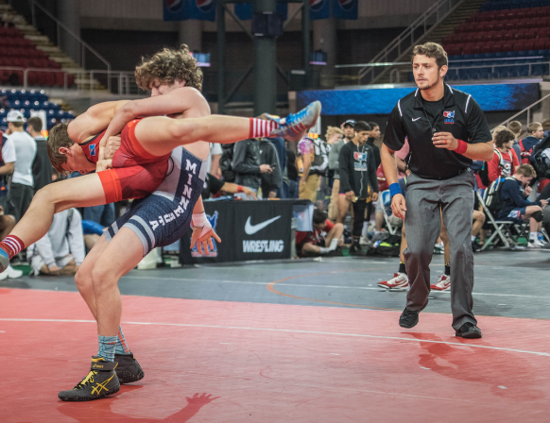 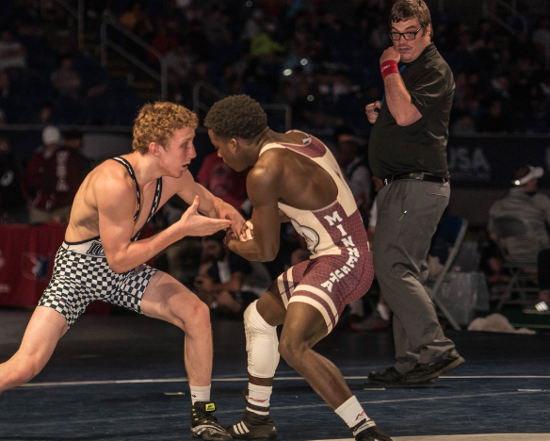 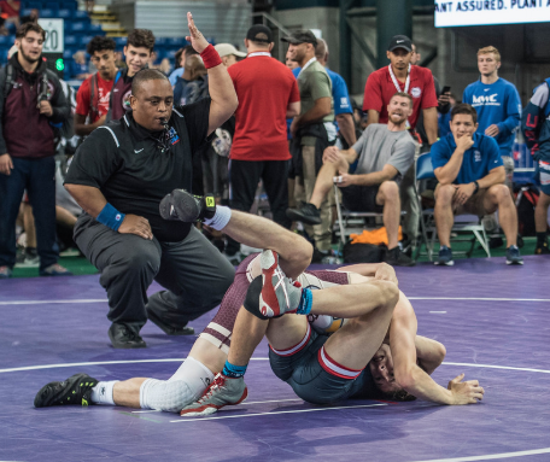 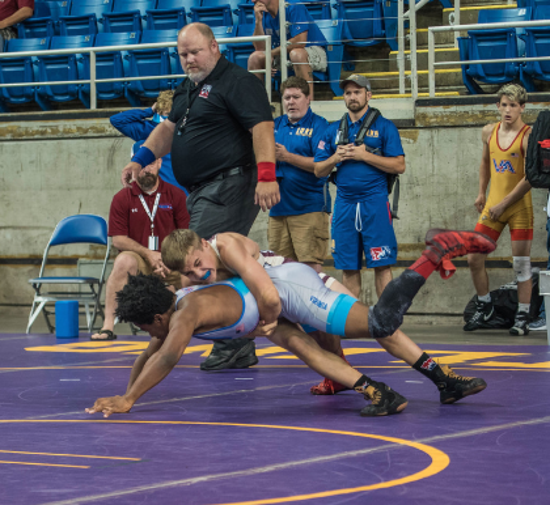 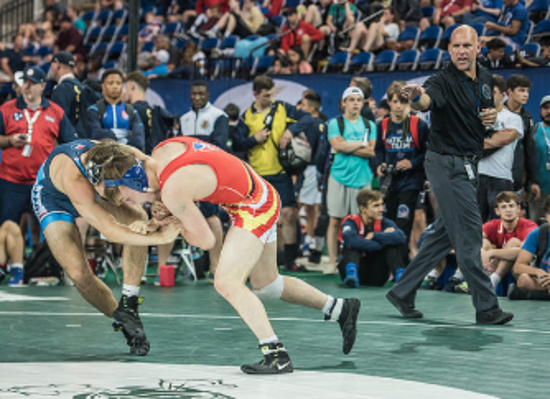 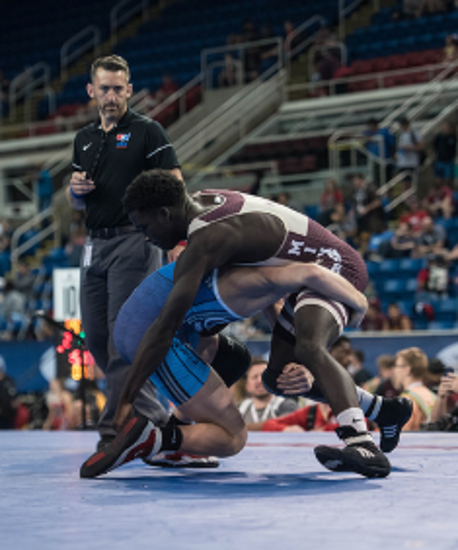 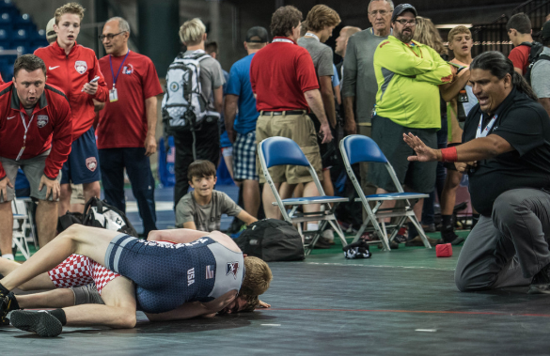 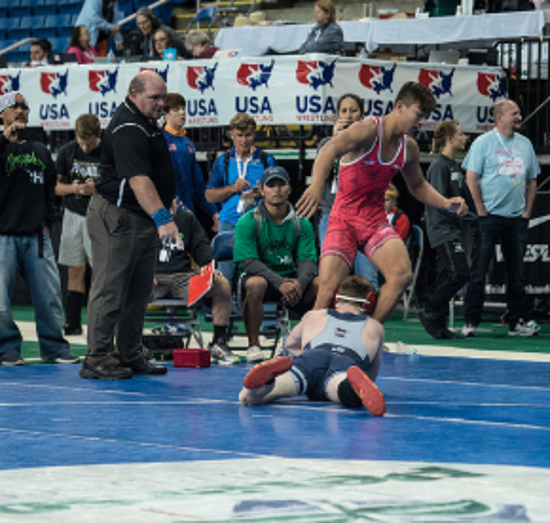 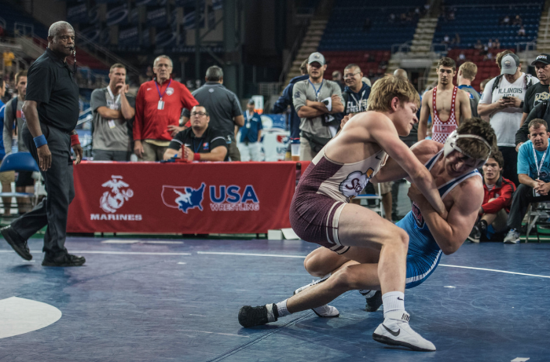 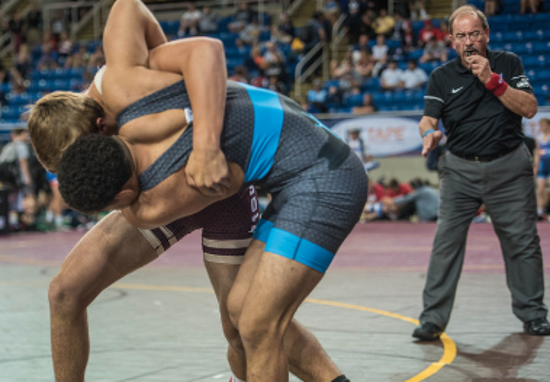 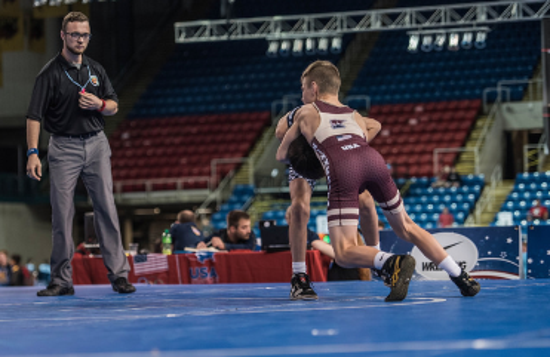 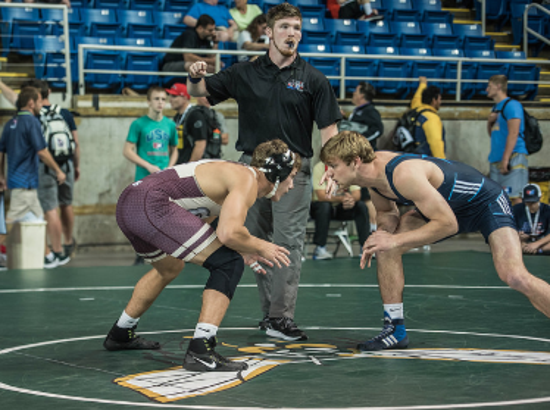 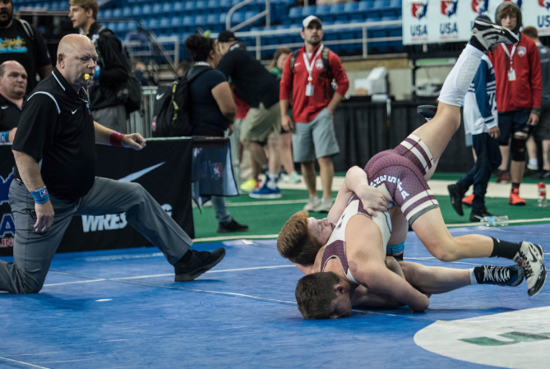 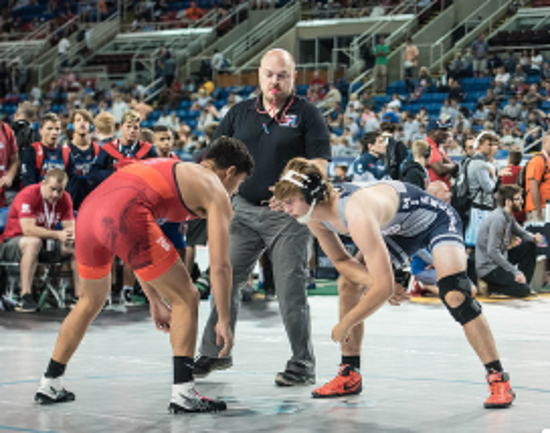 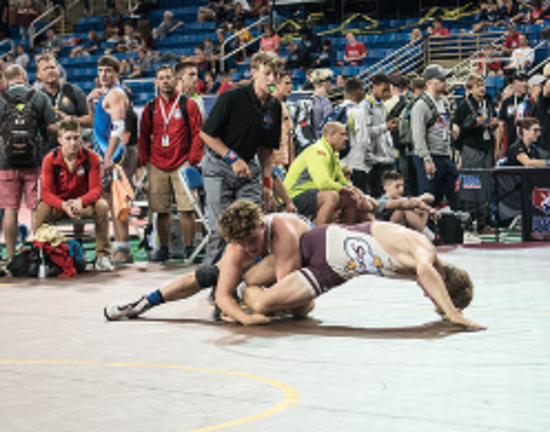 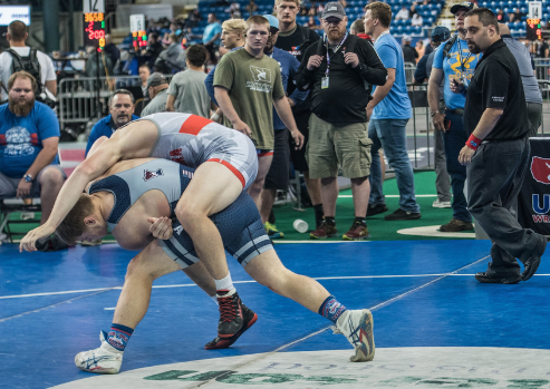 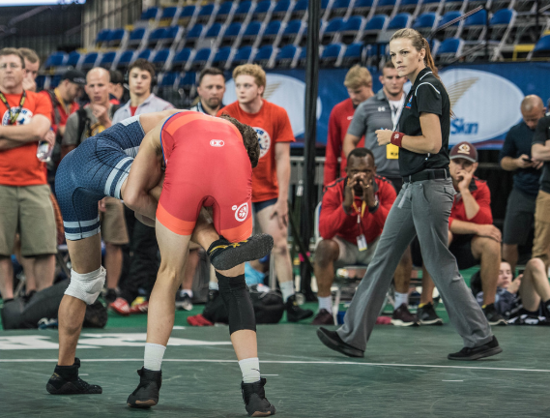 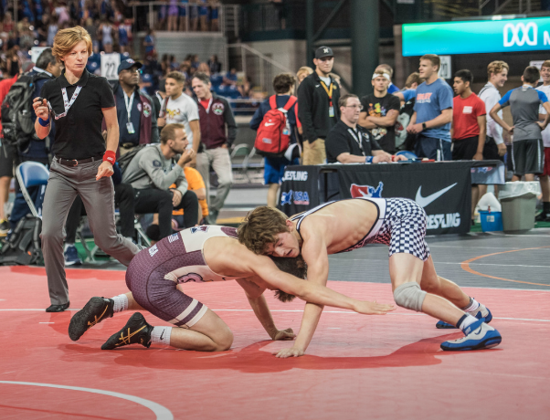 At the same time, Mo wanted the Cadet Duals to serve as a training ground for lesser experienced Mat Officials. 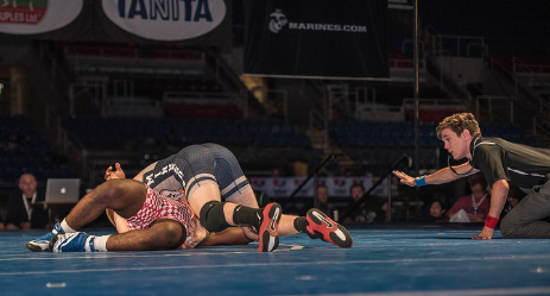 The original participating States liked the concept and started sending their best Cadets but also demanded the best possible Mat Officials. 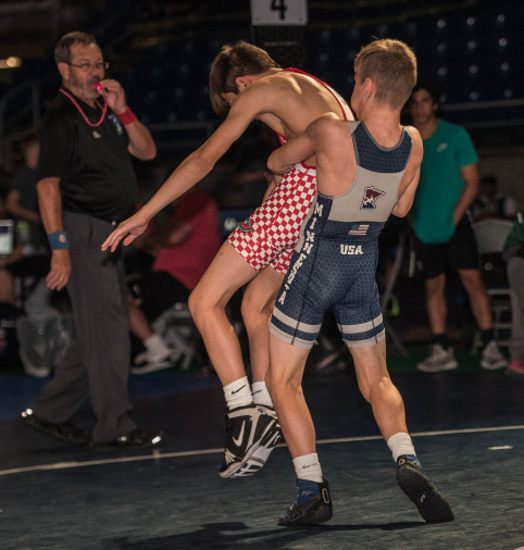 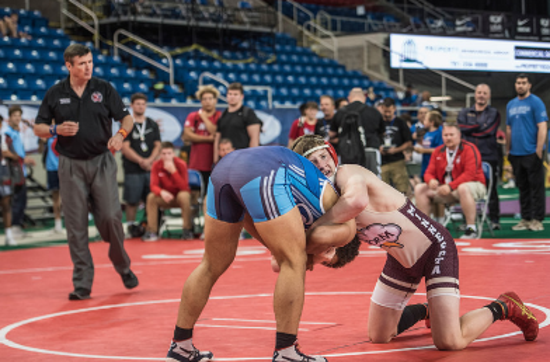 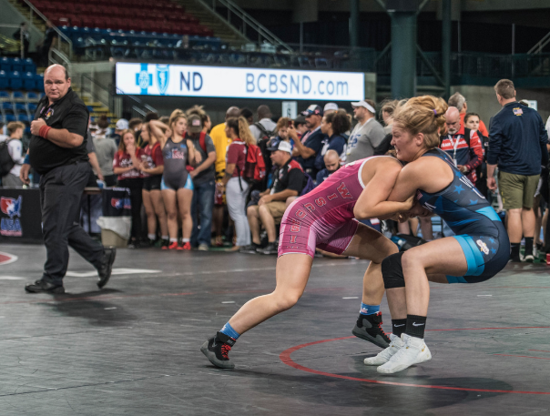 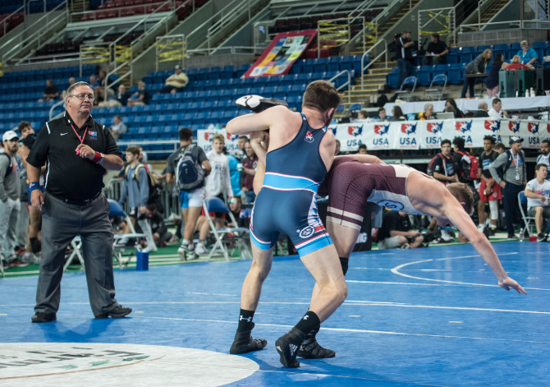 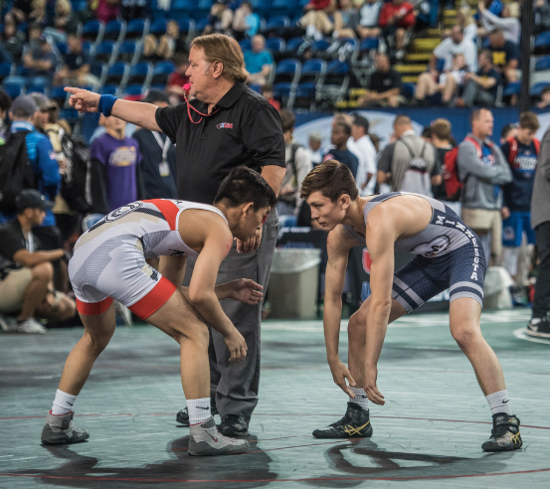 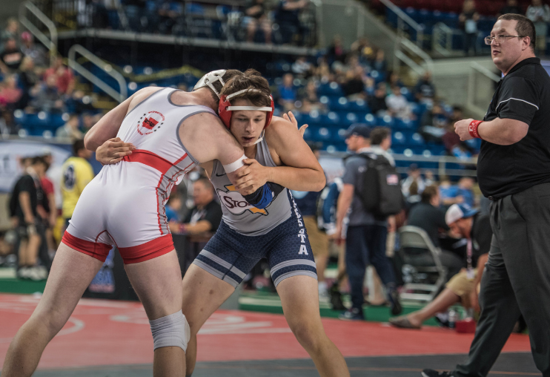 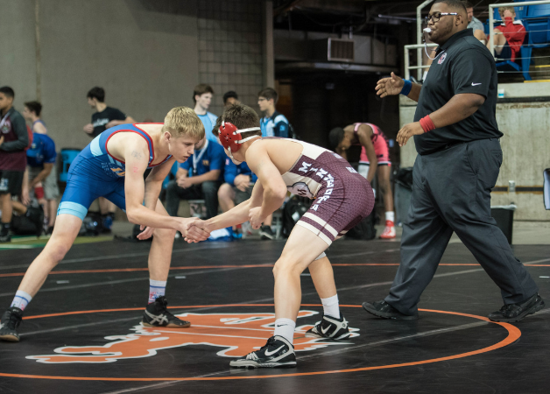 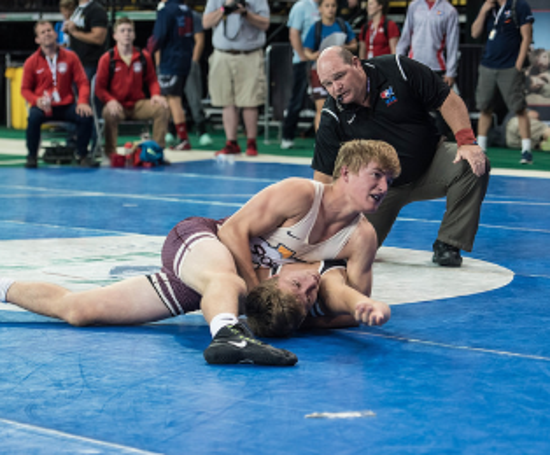 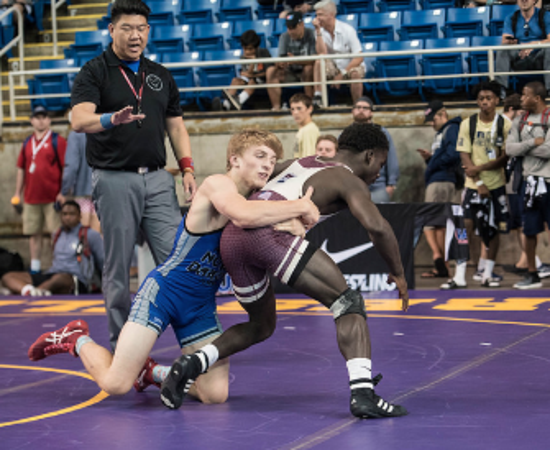 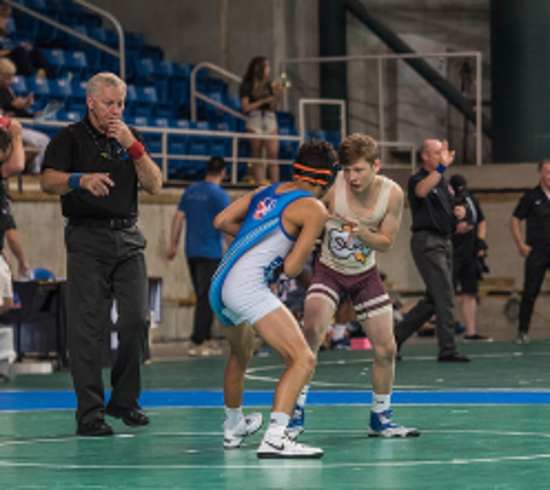 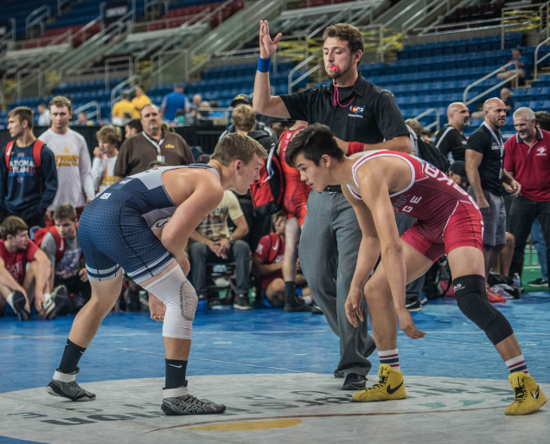 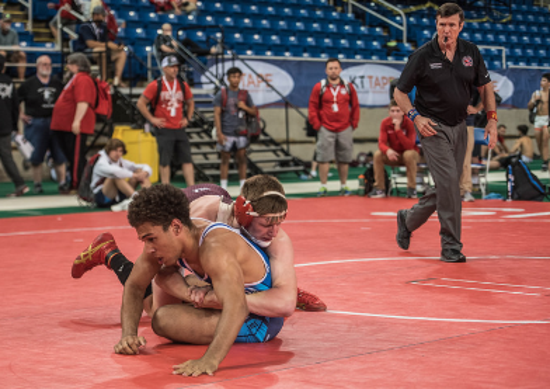 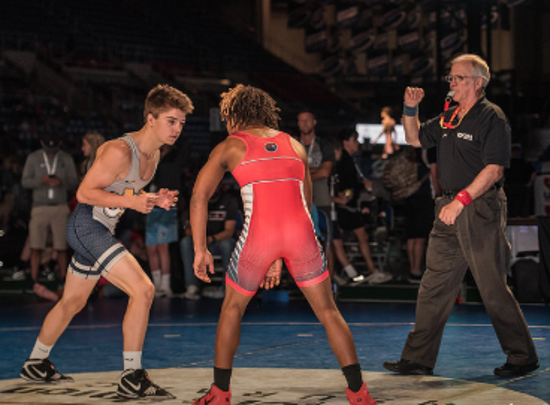 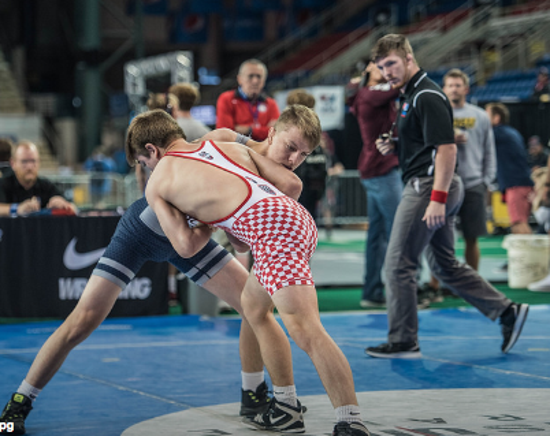 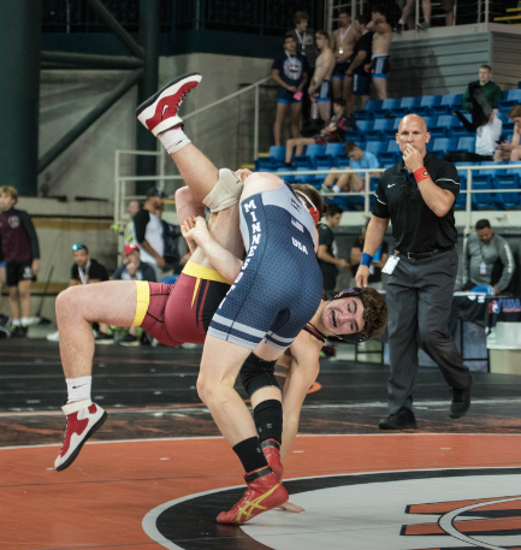 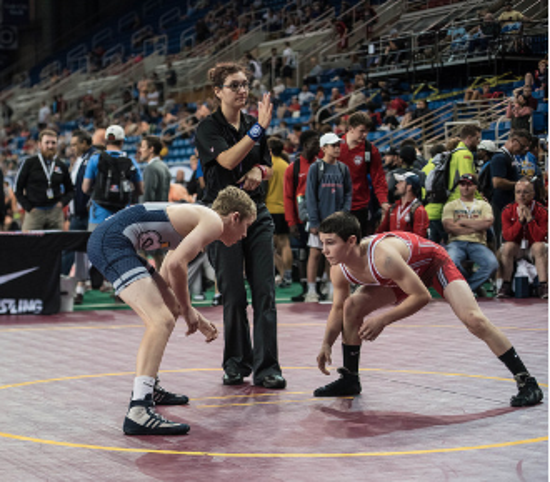 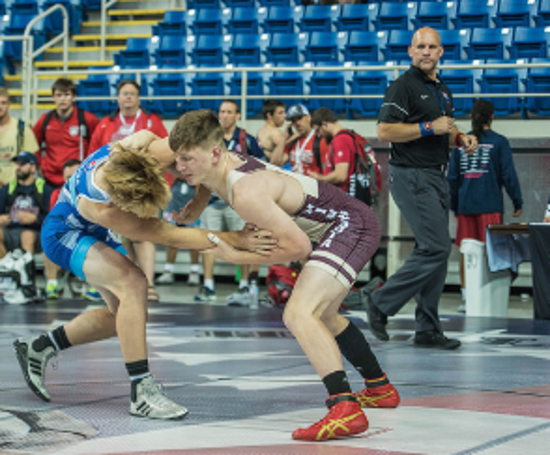 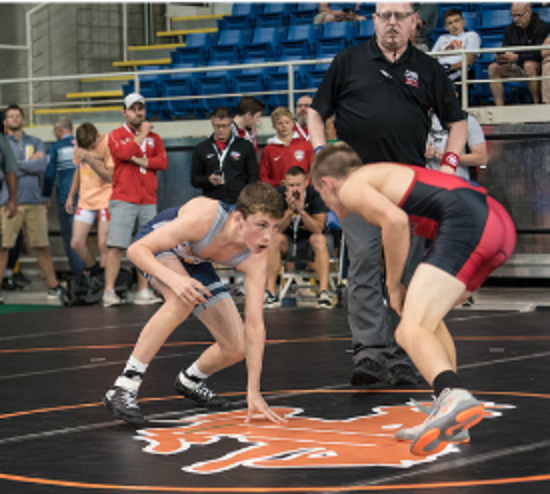 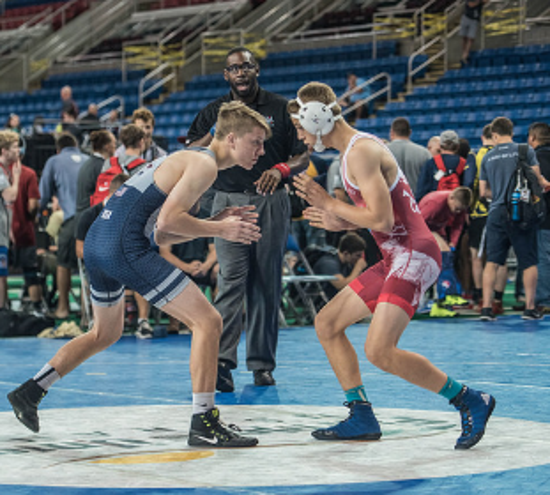 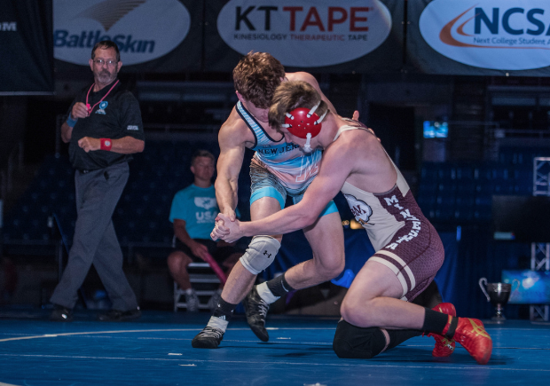 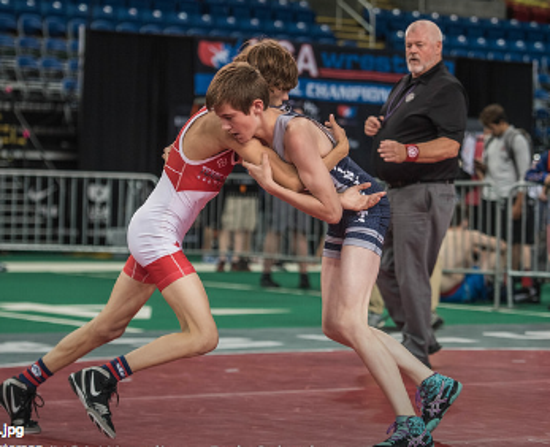 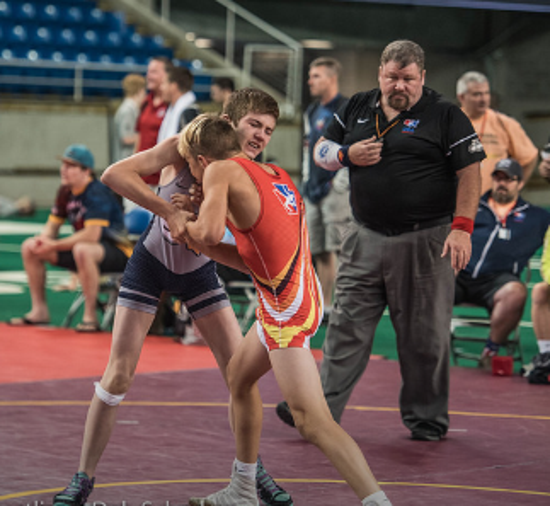 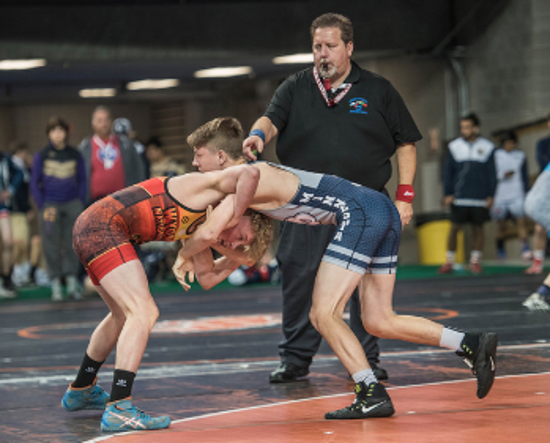 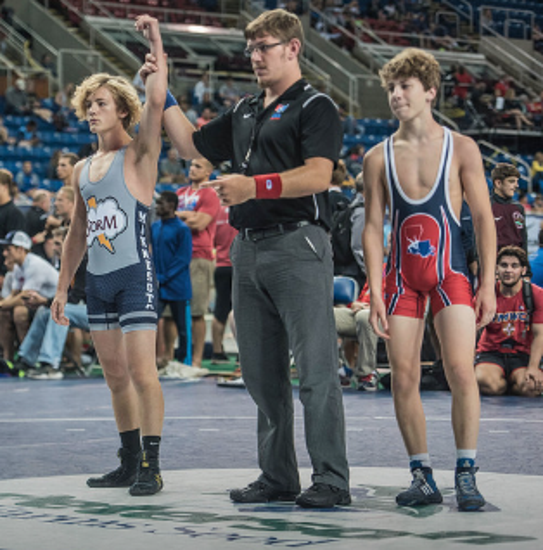 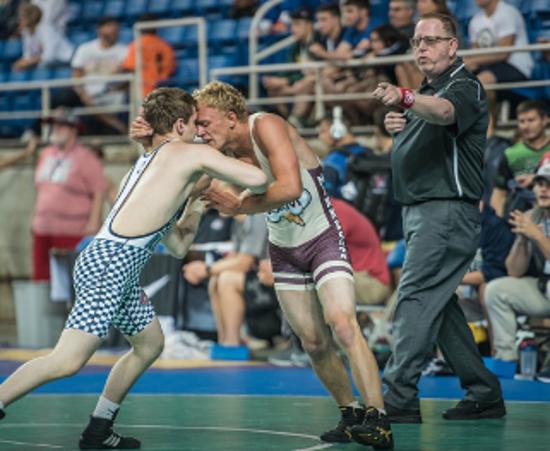 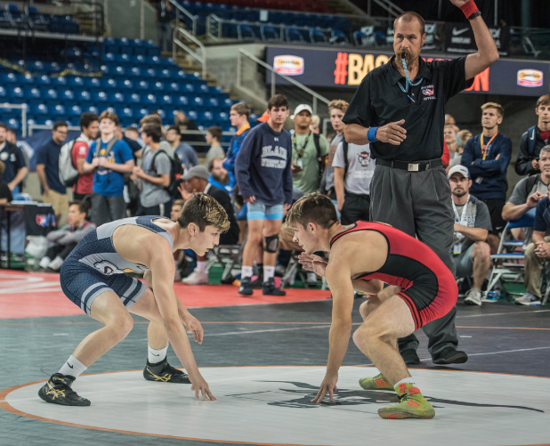 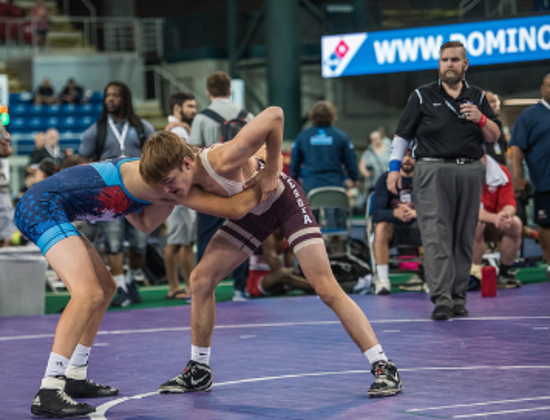 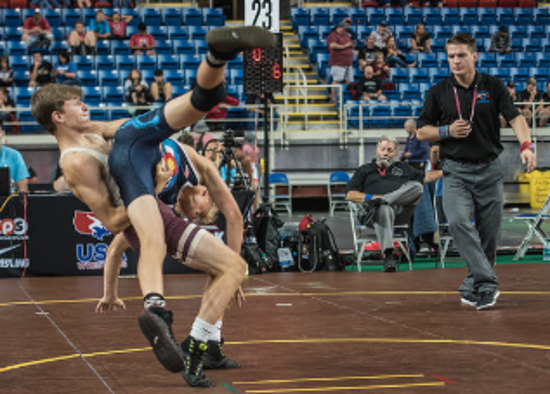 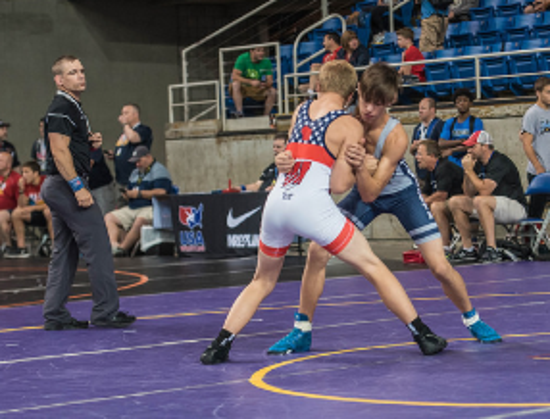 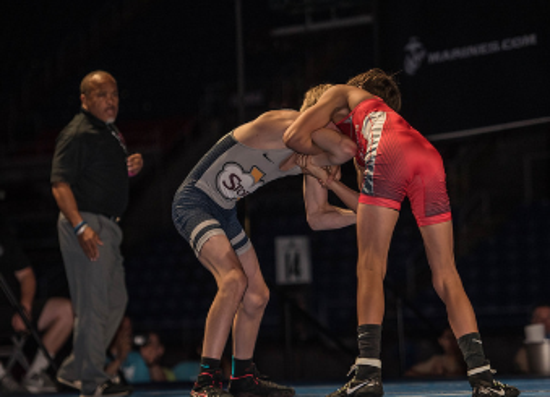 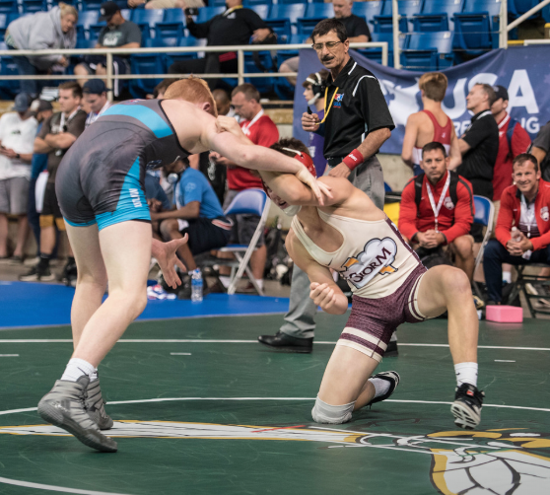 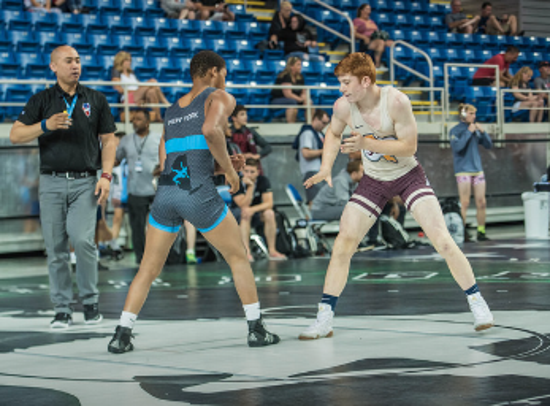 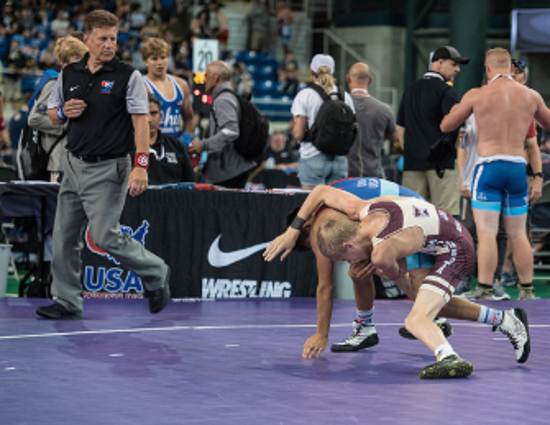 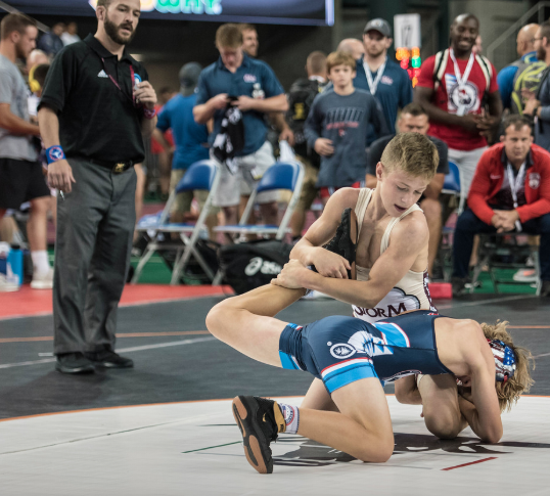 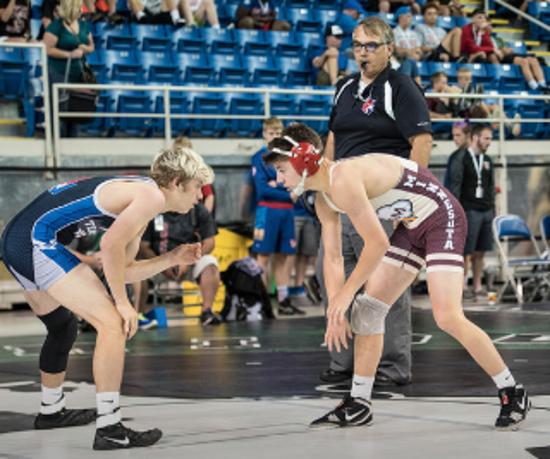 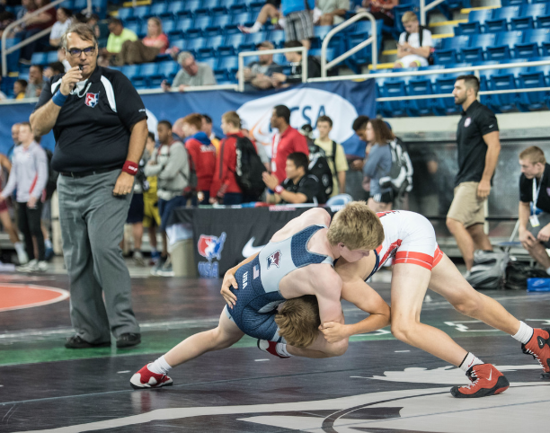 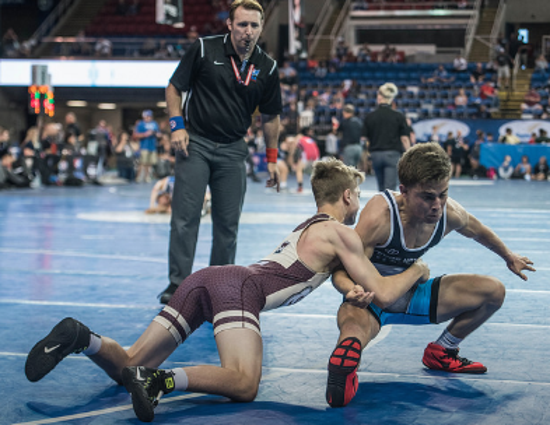 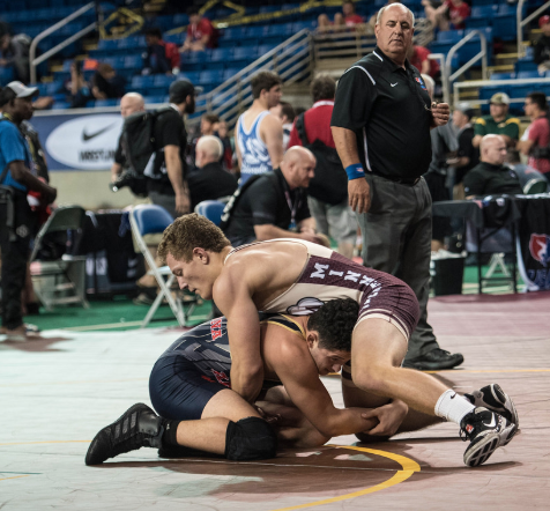 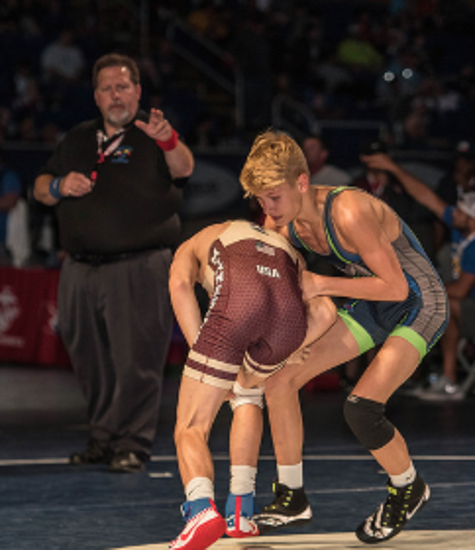 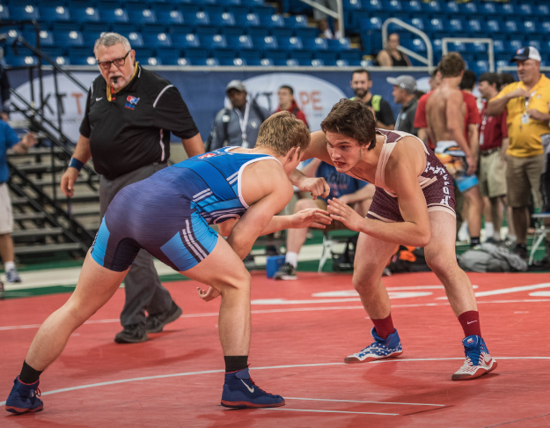 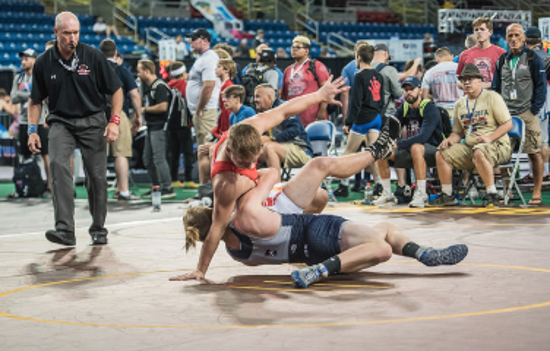 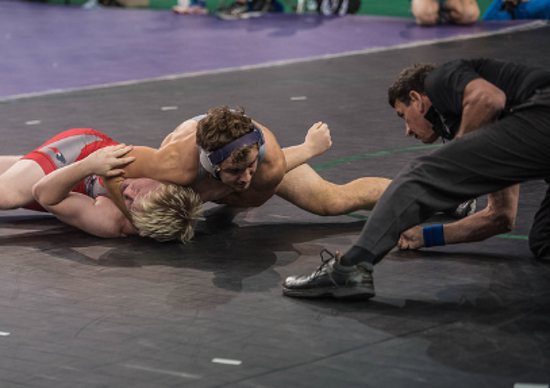 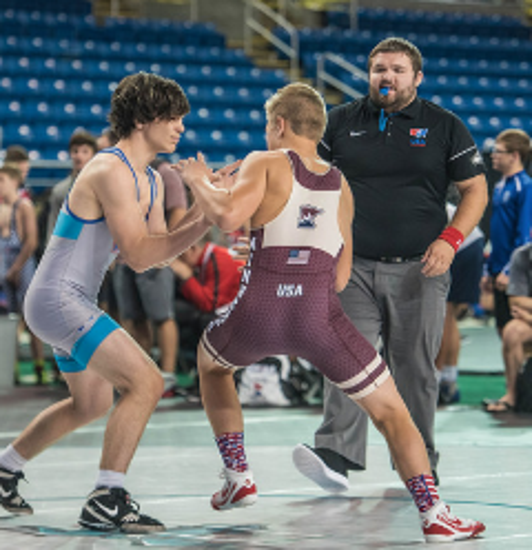 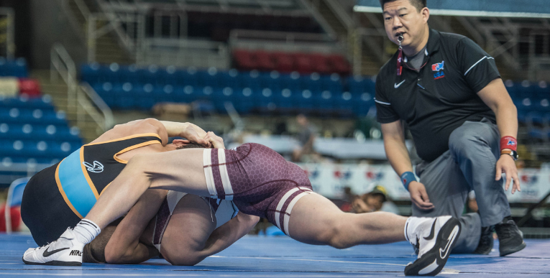 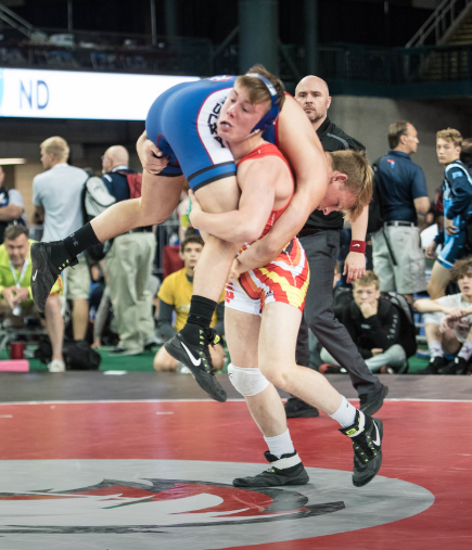 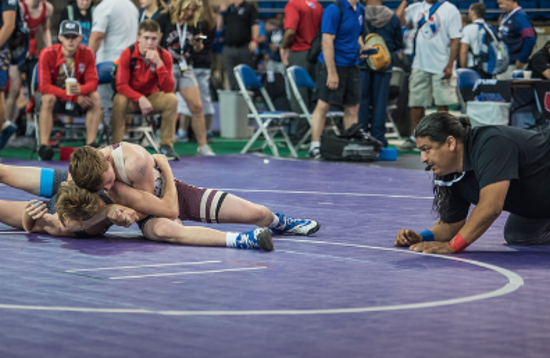 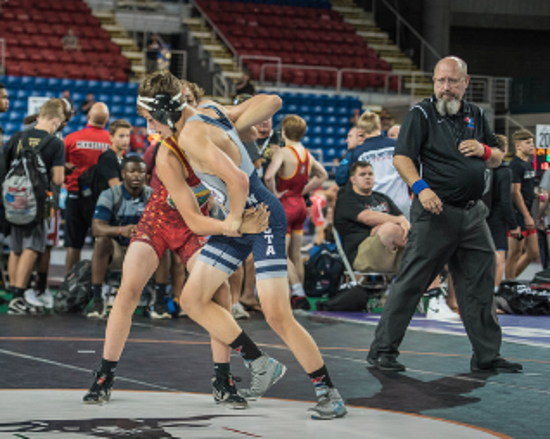 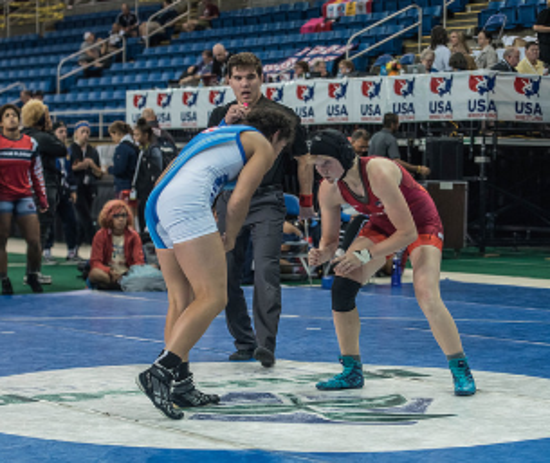 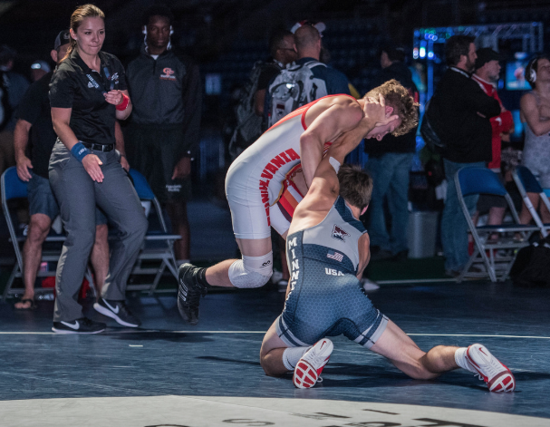 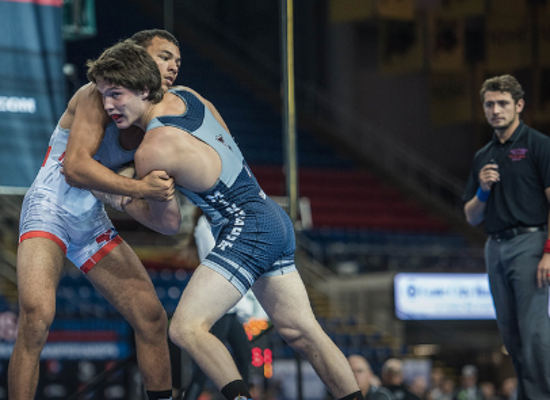 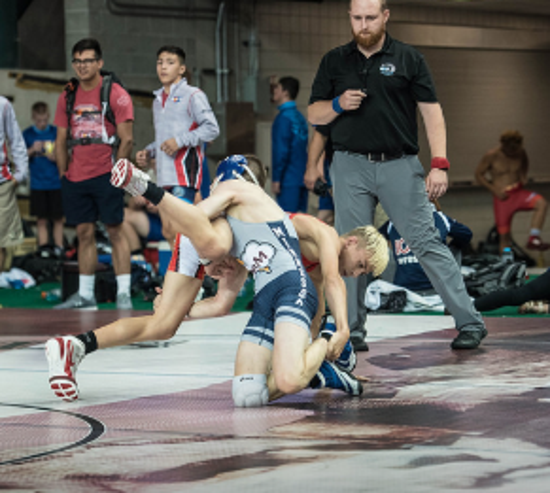 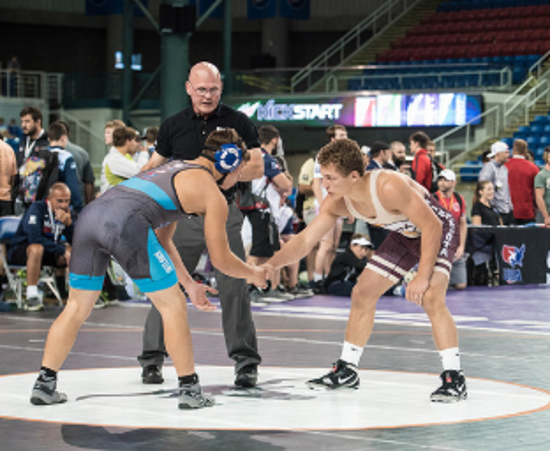 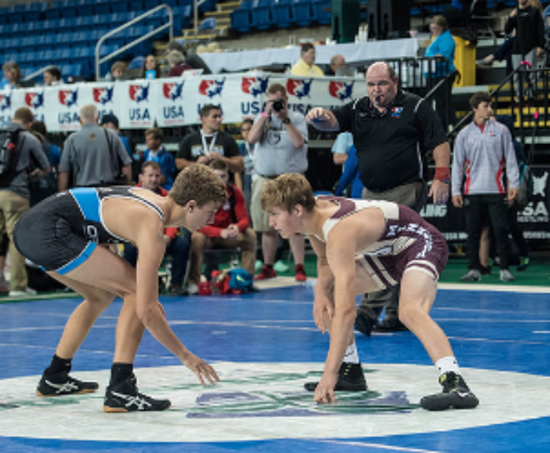 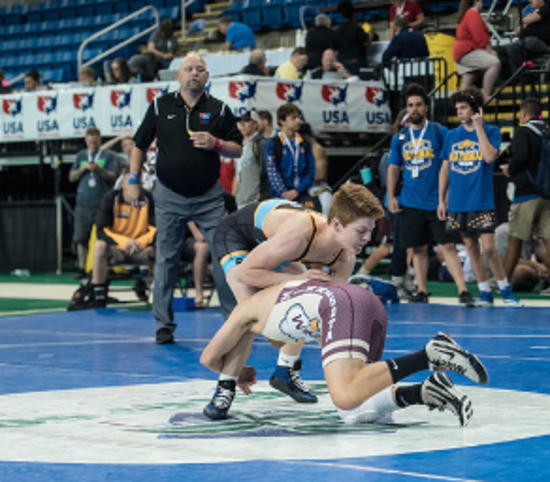 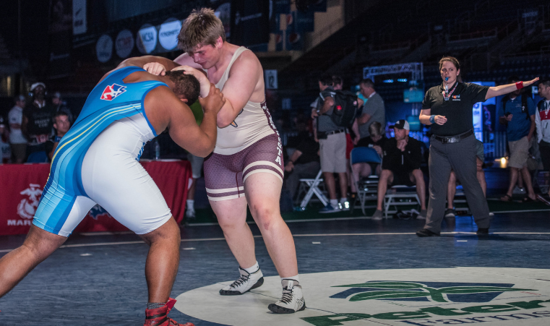 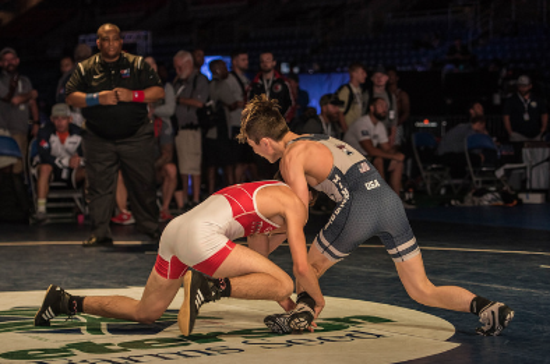 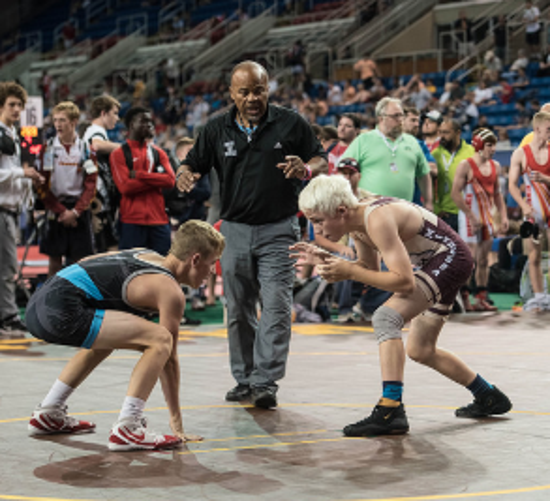 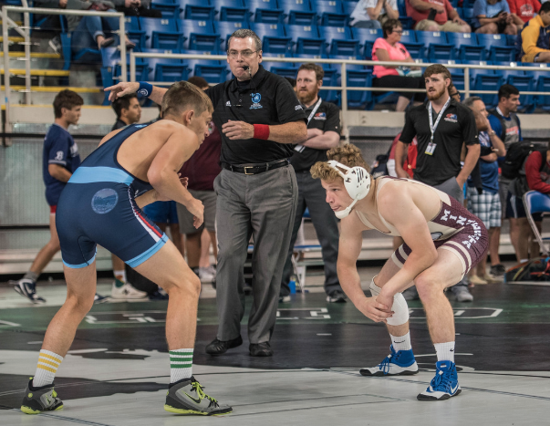 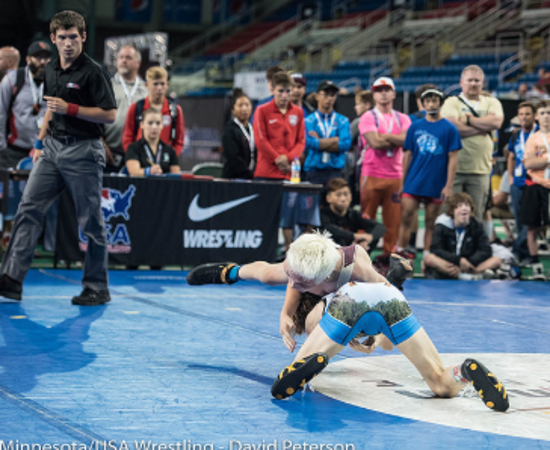 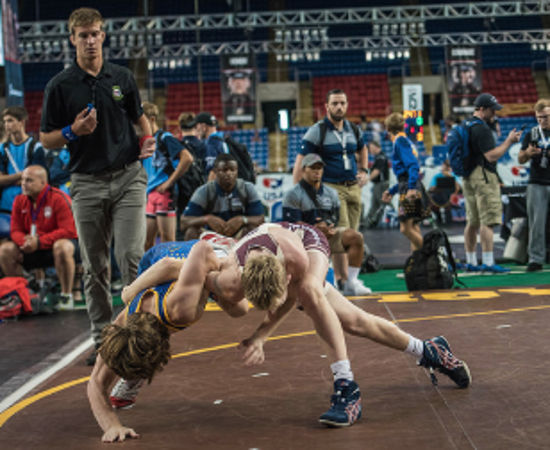 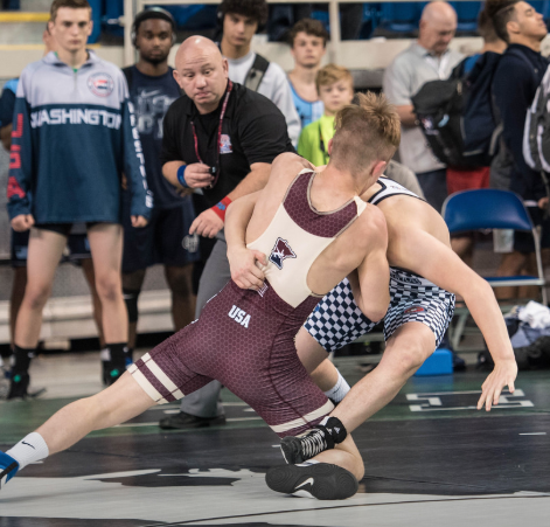 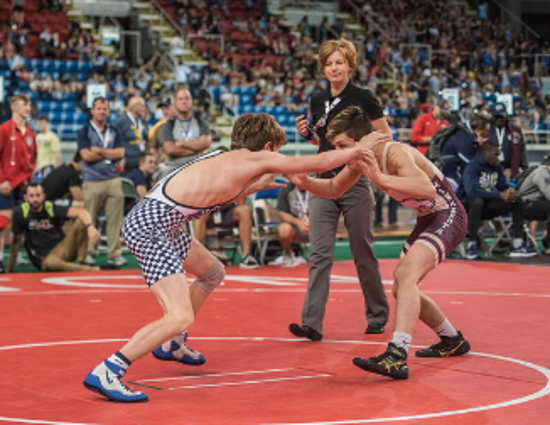 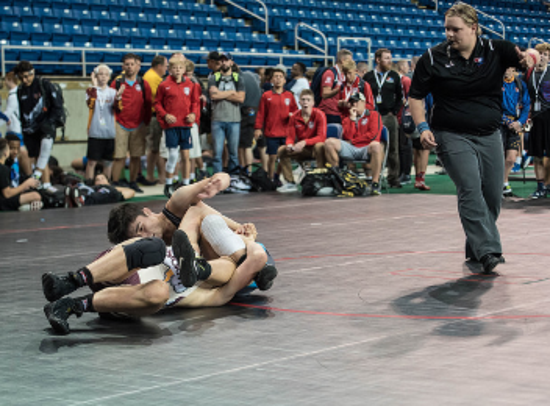 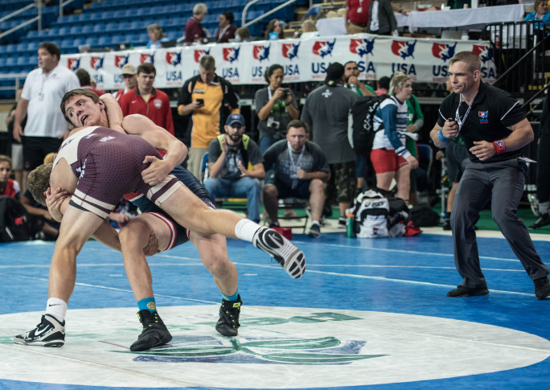 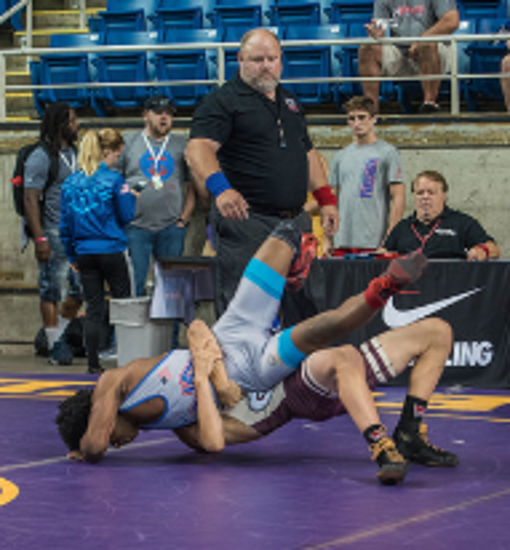 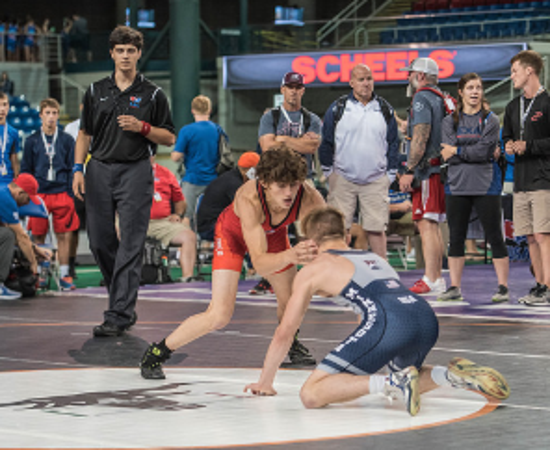 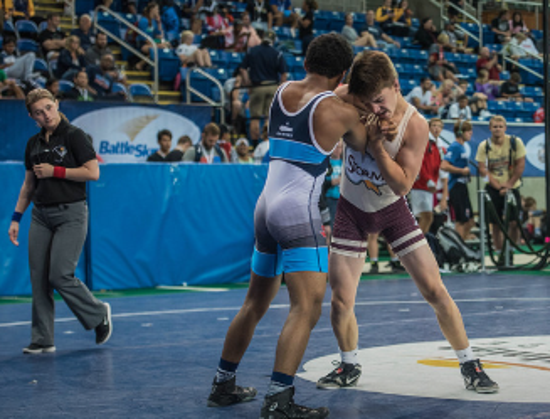 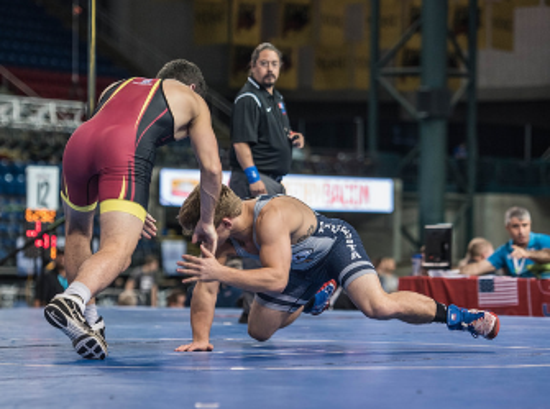 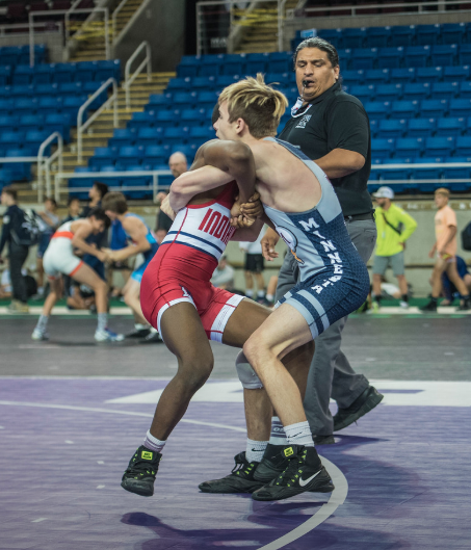 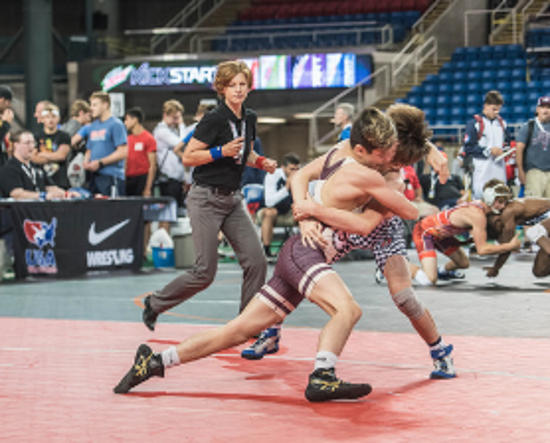 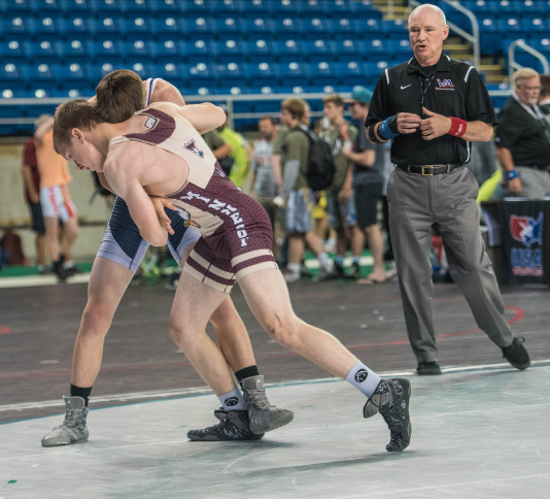 The Cadet Duals became a National level event; Junior Duals and Schoolboy Duals soon followed suit. 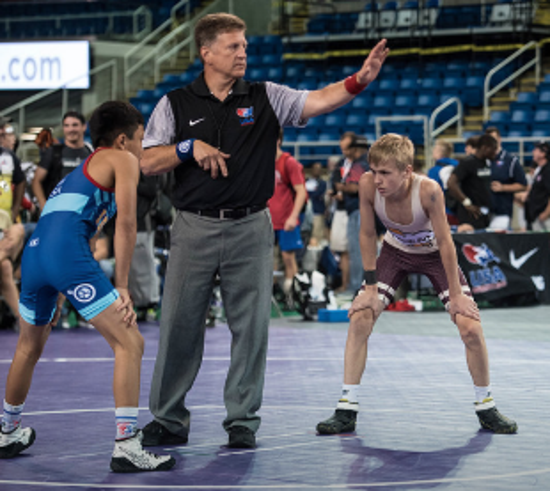 Mo’s wife, Pat, is an accomplished pairer and one of their sons, Jason, is an international level Mat Official. 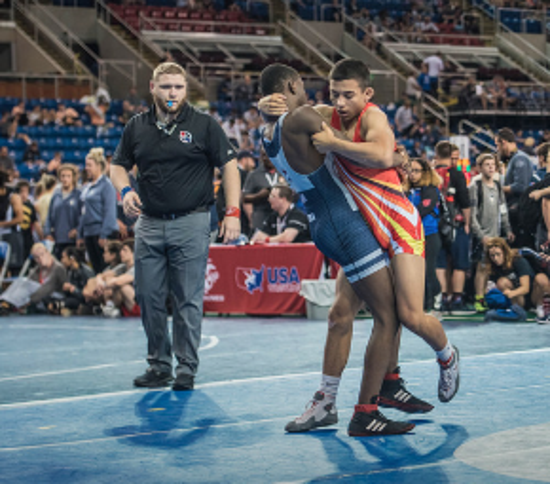 Mo’s demise will leave a huge void for all of his many friends. 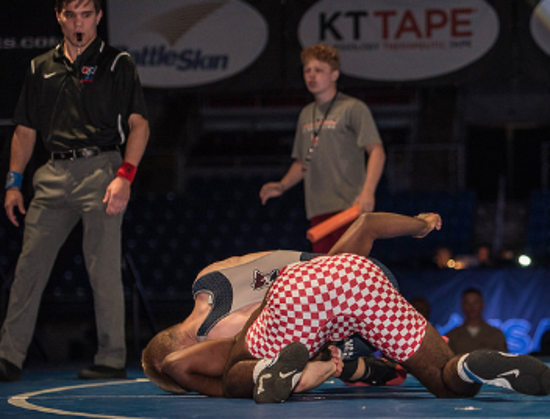 Funeral arrangements will be posted when completed by Mo’s family. 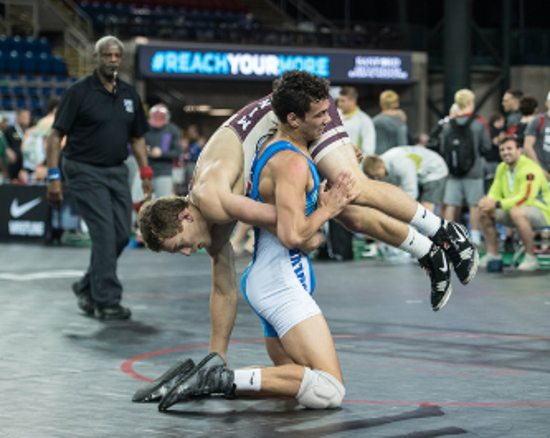 This gallery of photos is made possible by Dave Peterson, MN. 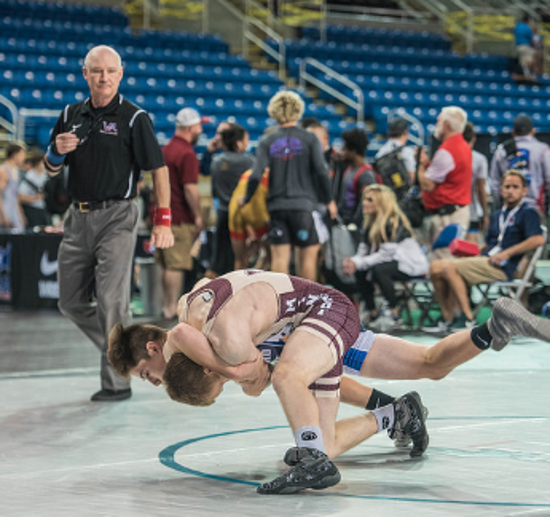 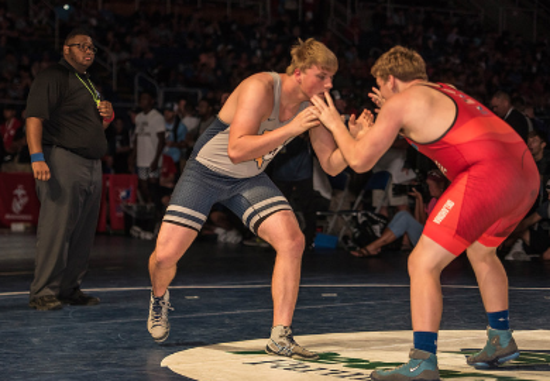 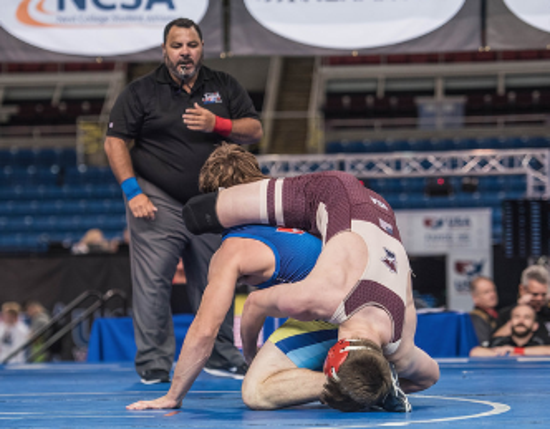 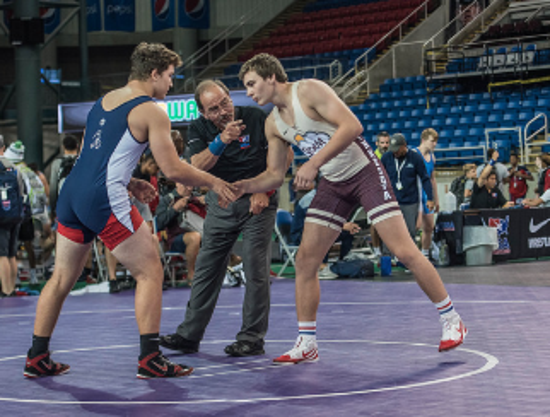 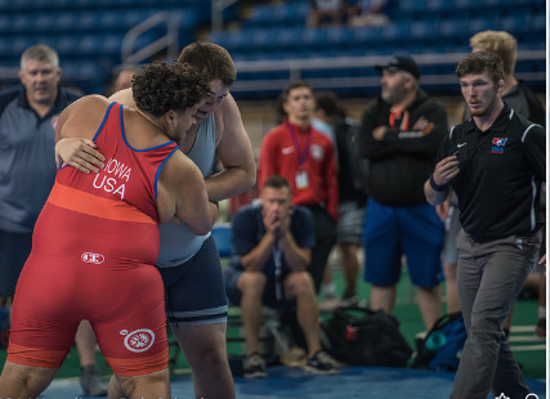 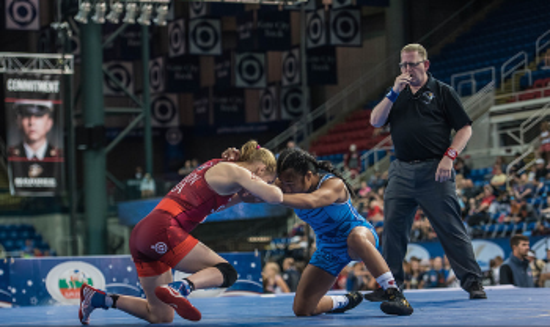 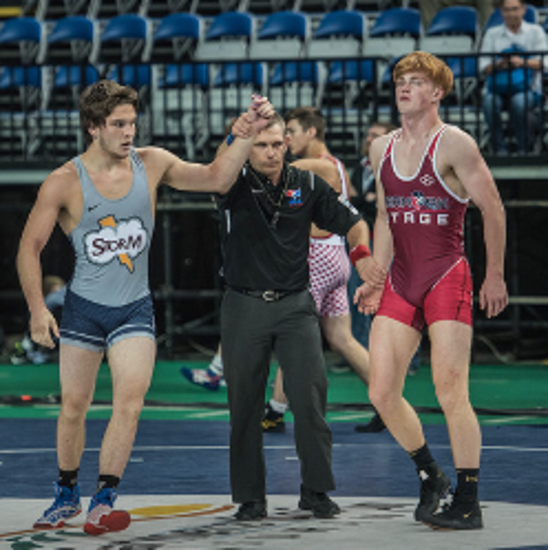 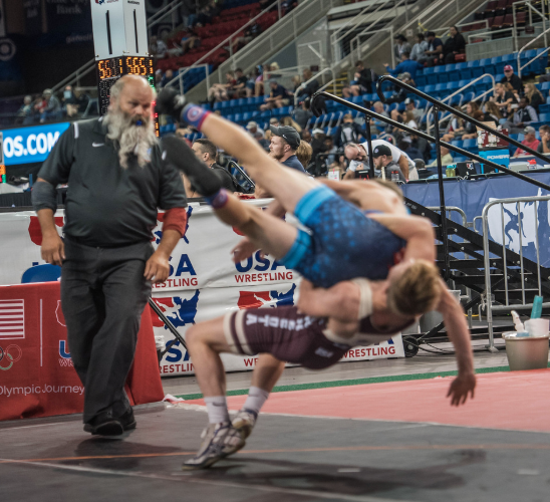 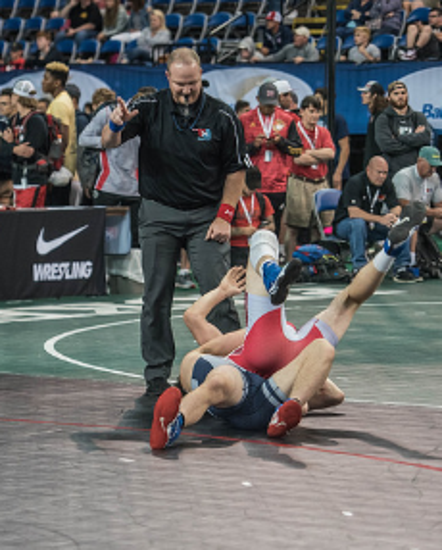 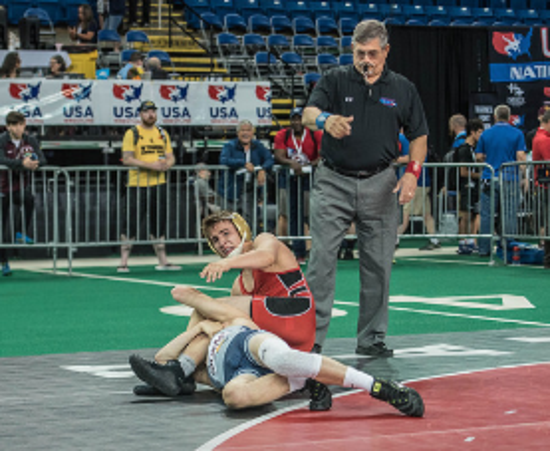 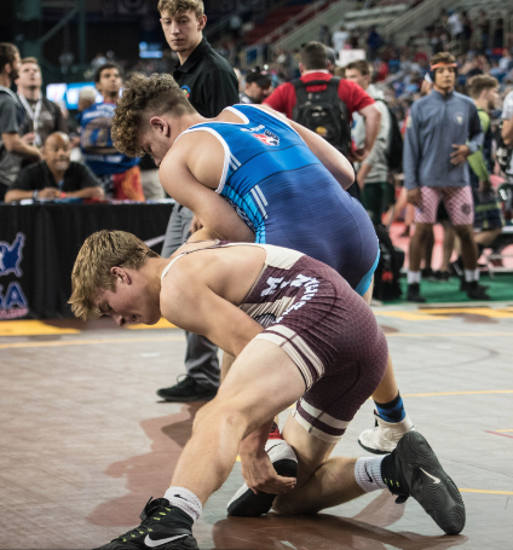 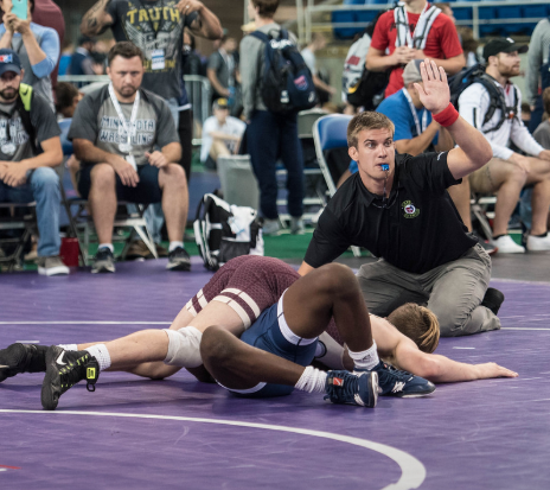 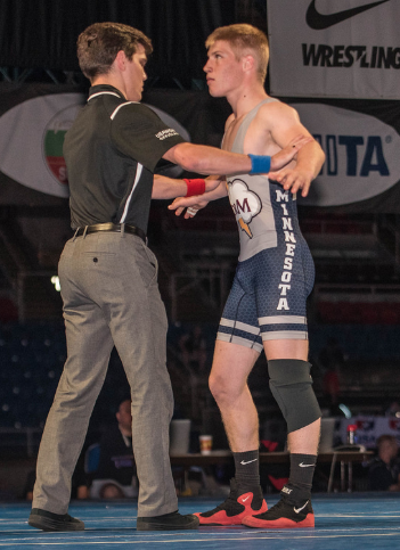 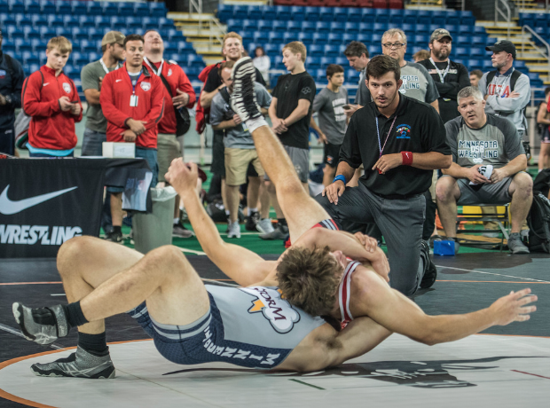 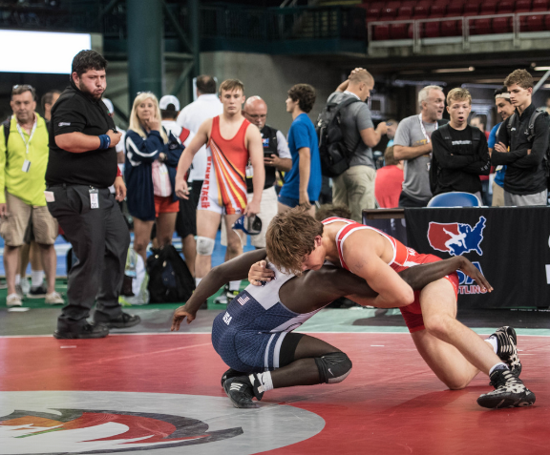 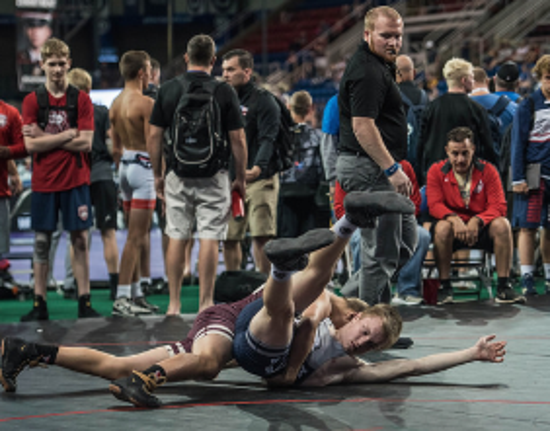 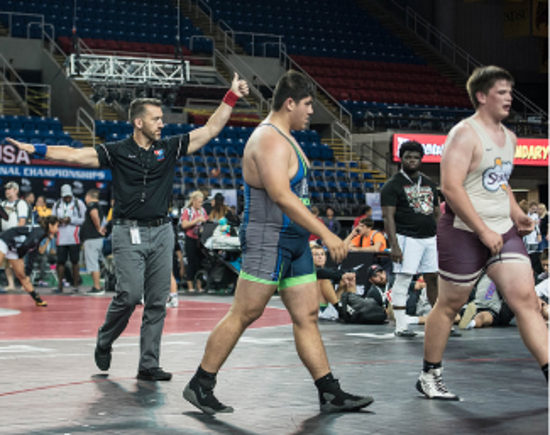 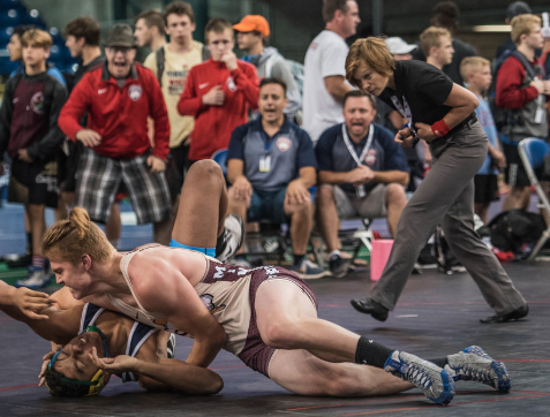 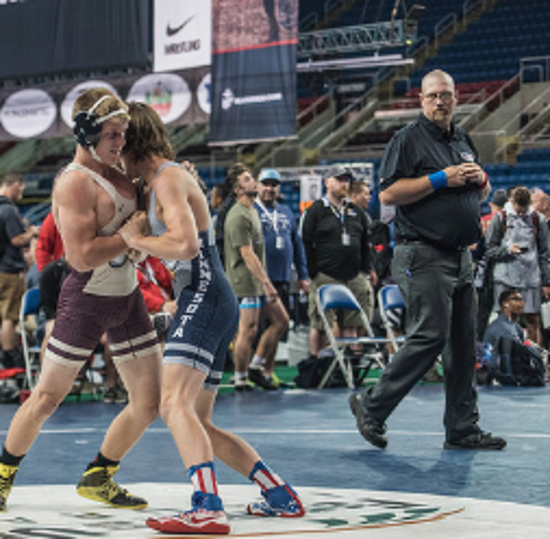 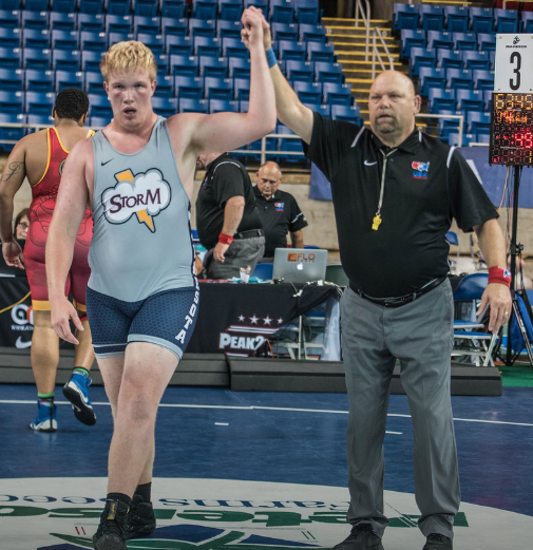 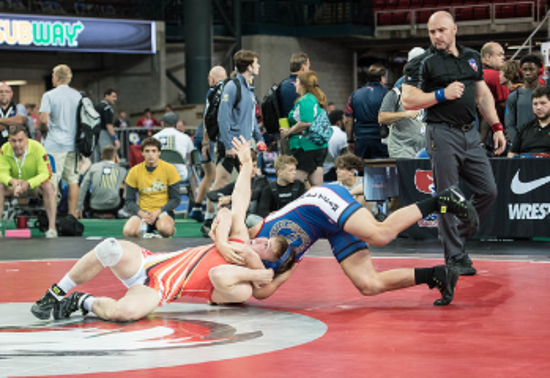 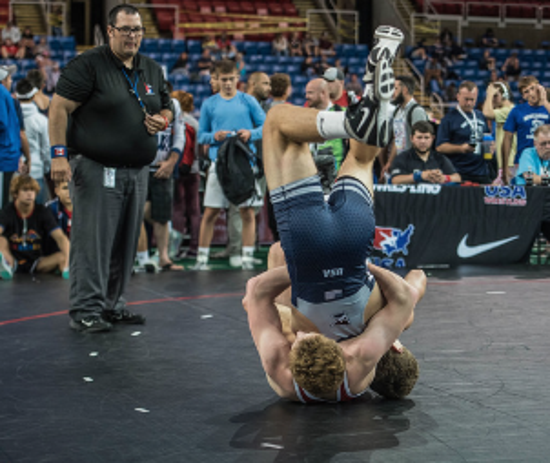 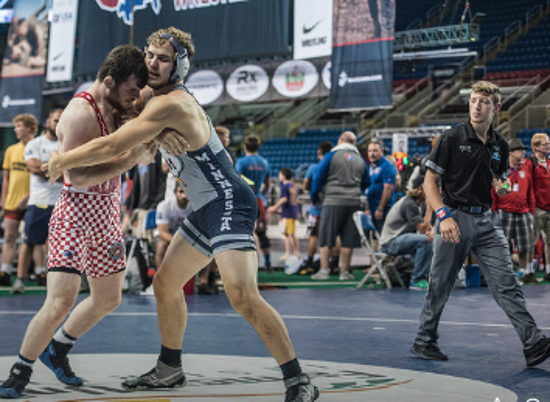 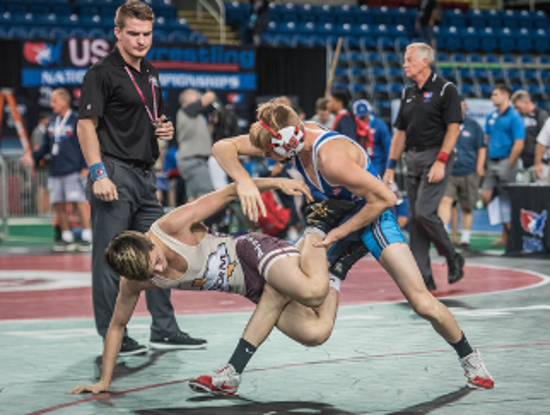 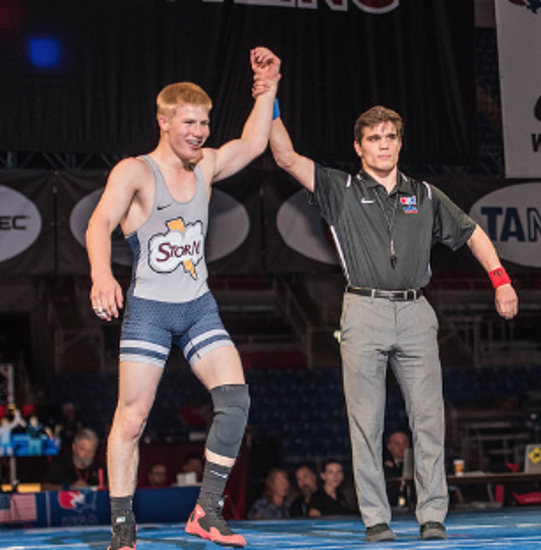 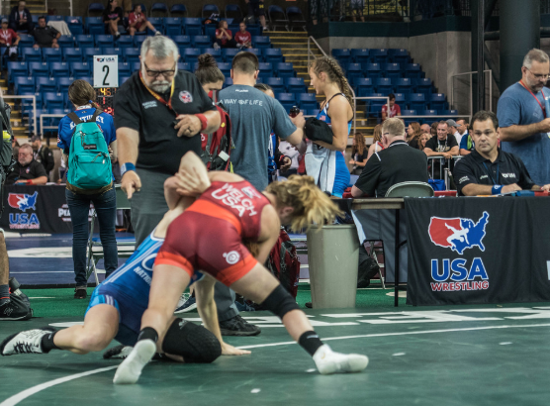 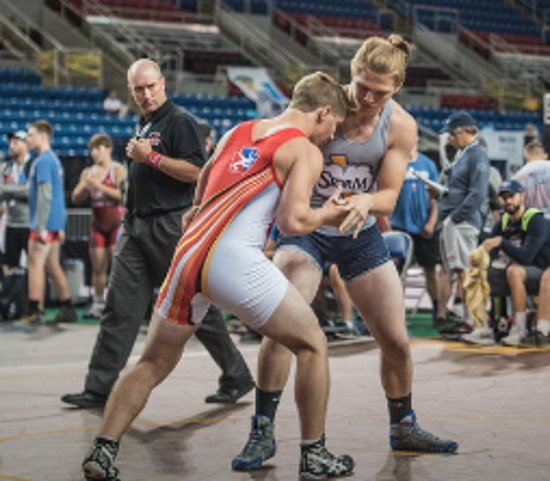 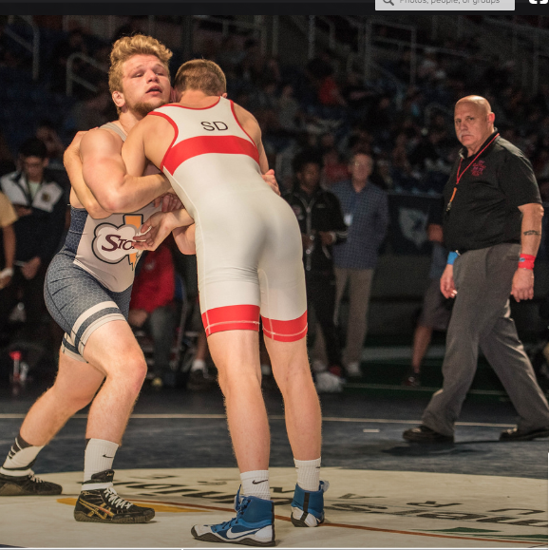 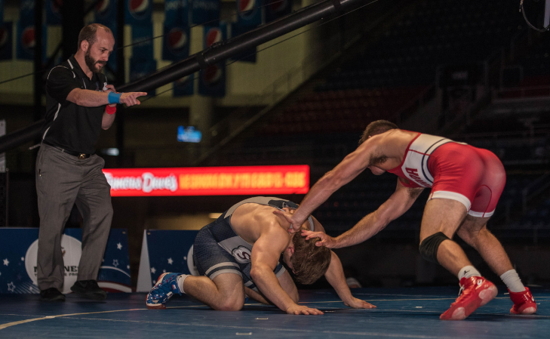 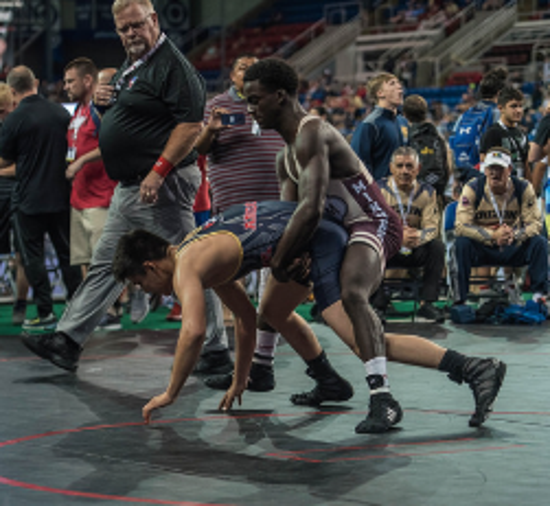 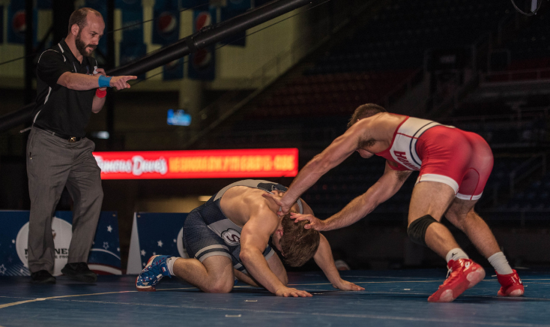 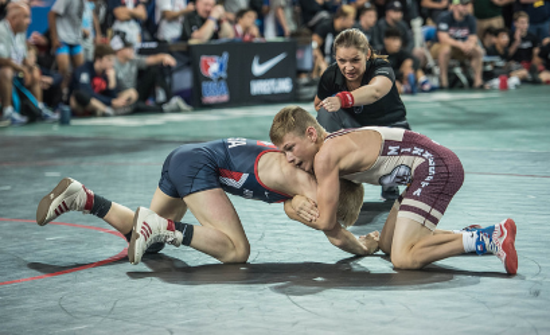 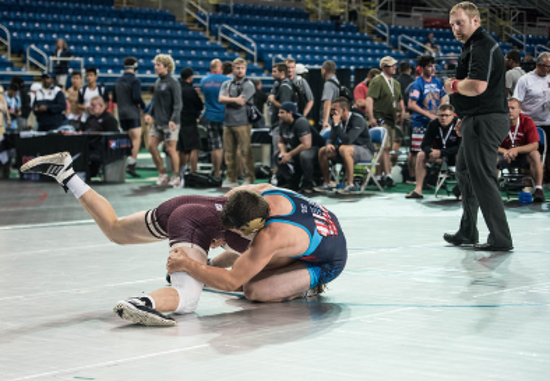 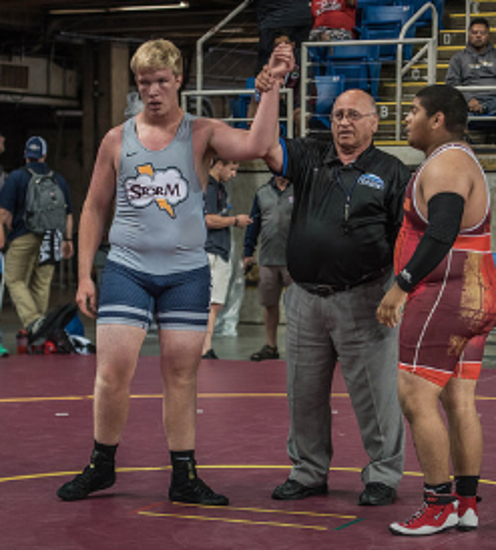 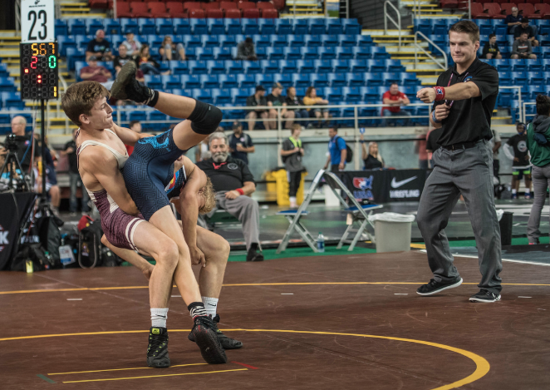 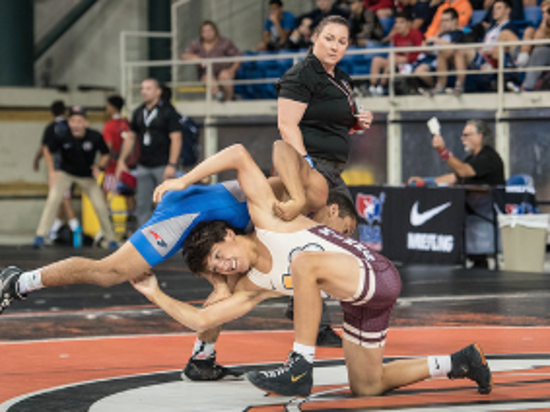 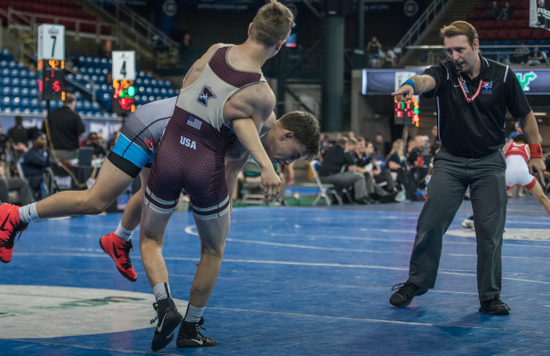 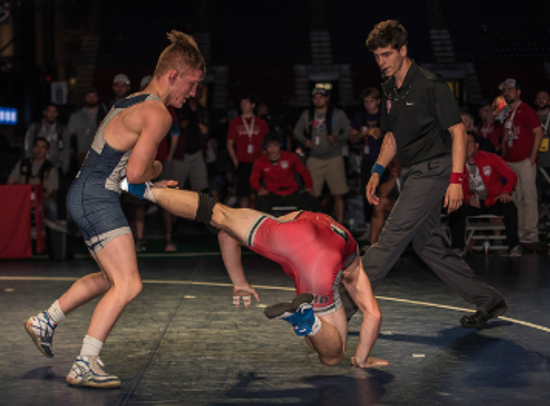 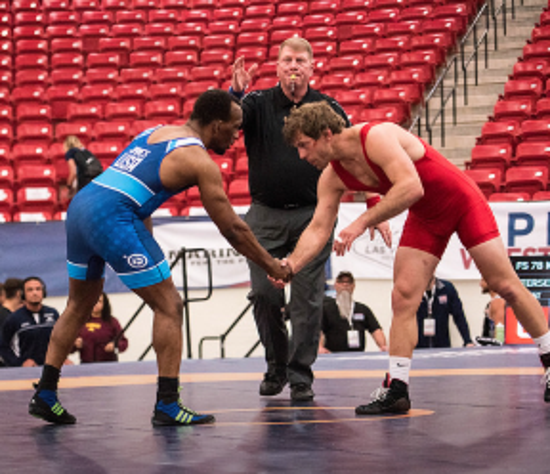 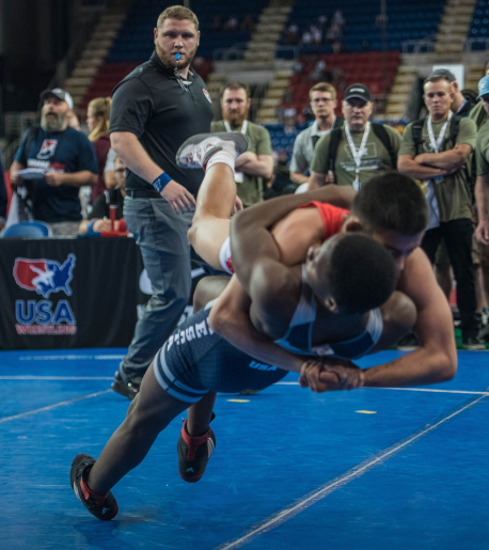 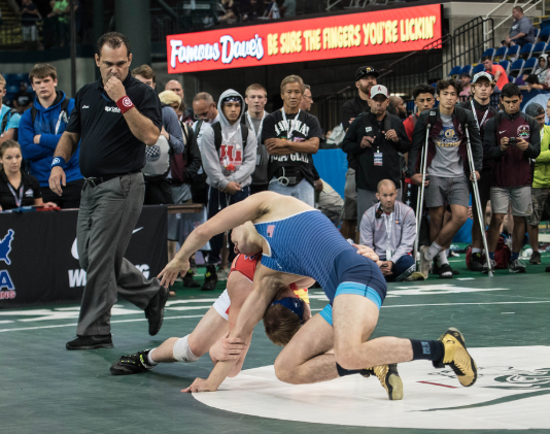 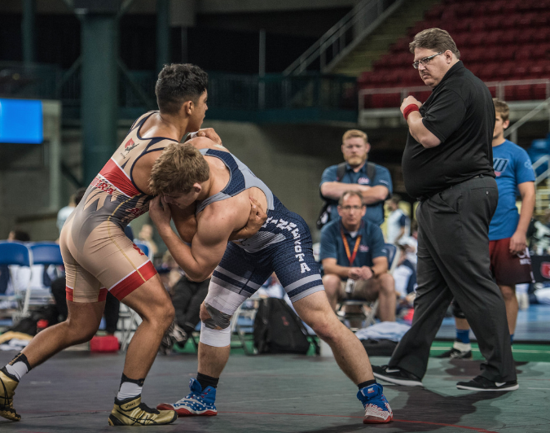 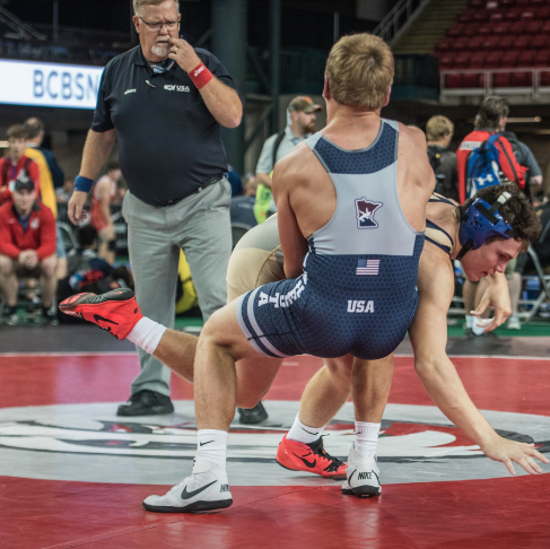 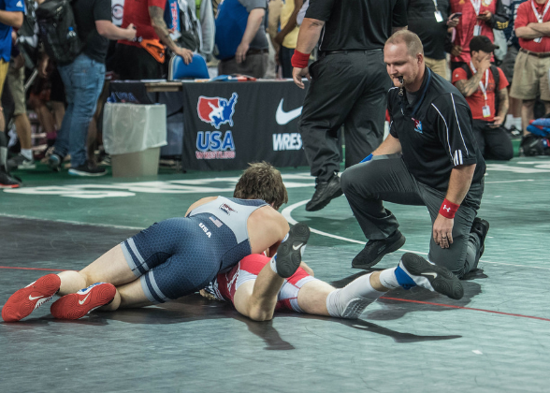 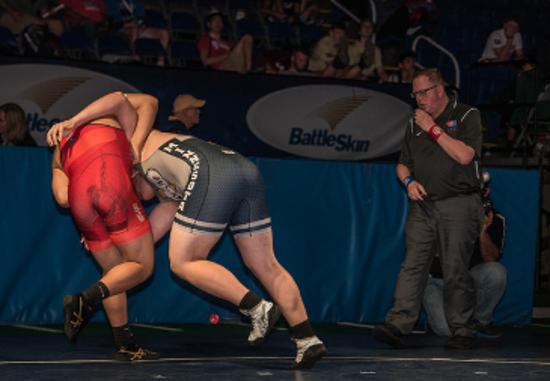 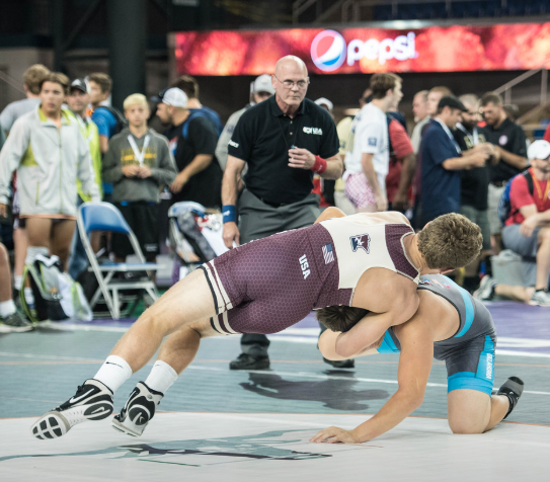 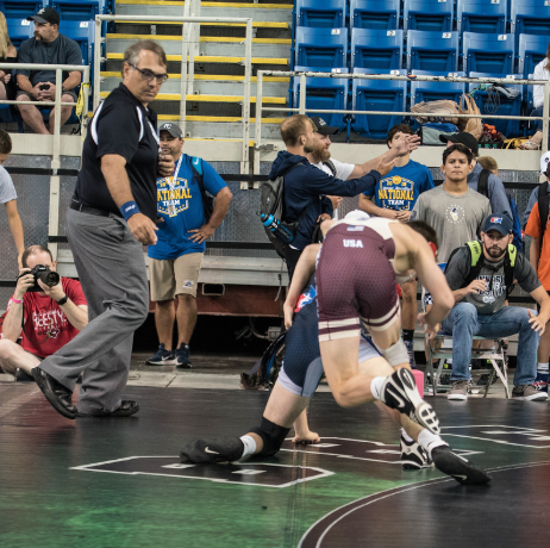 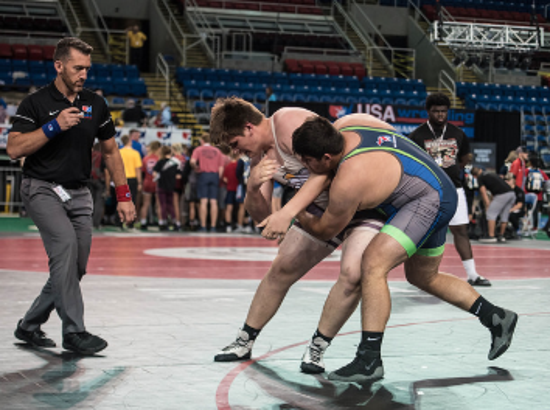 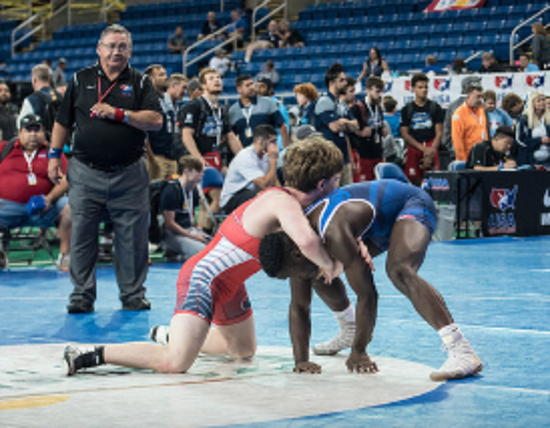 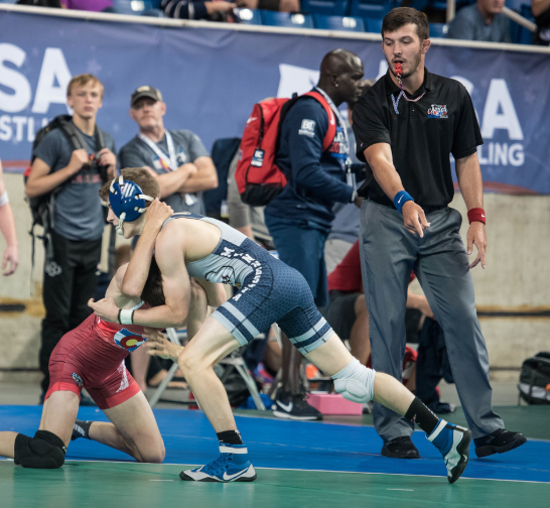 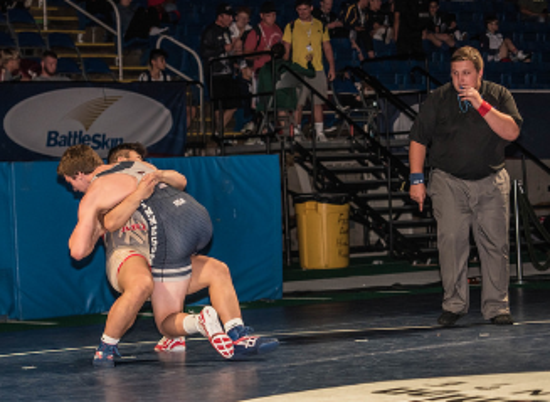 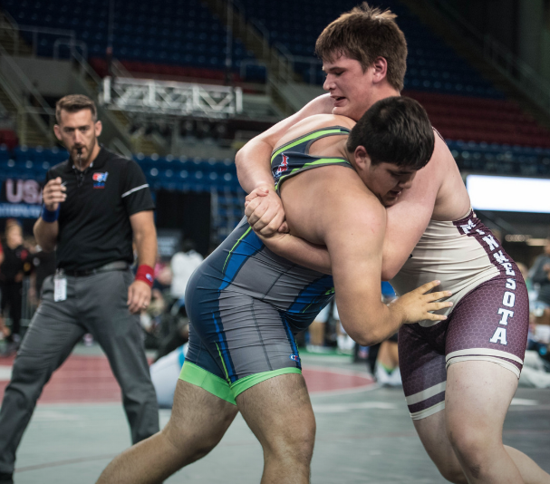 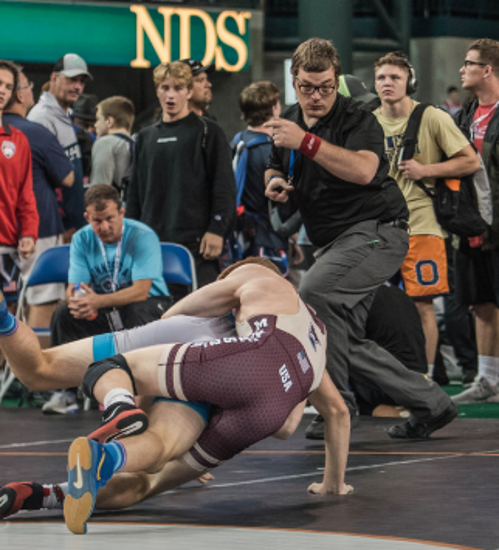 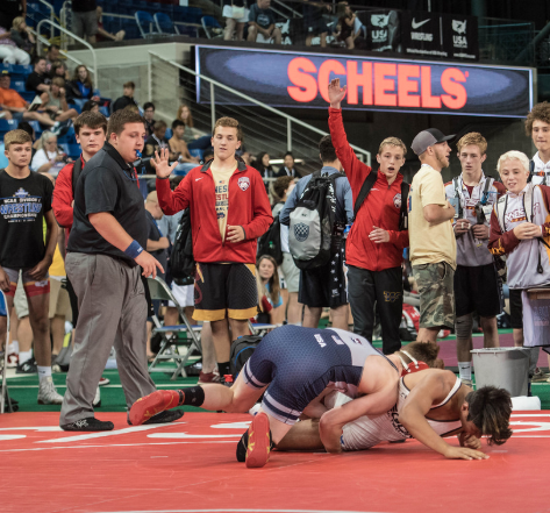 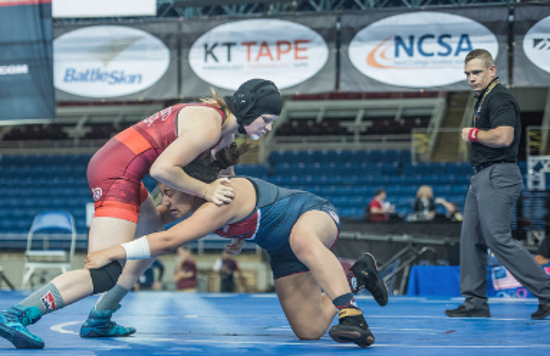 He has generously provided these photos of USOWA officials in action during the 2018 tournament season. 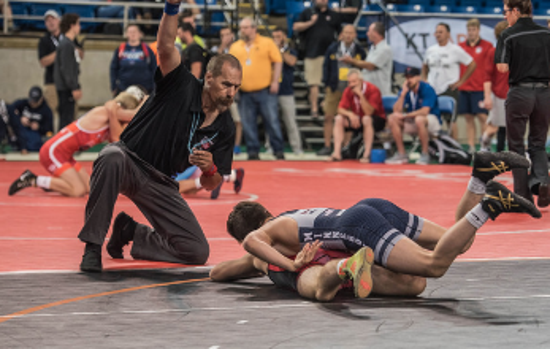 Link to questions on rules for Greco and Freestyle competitions. 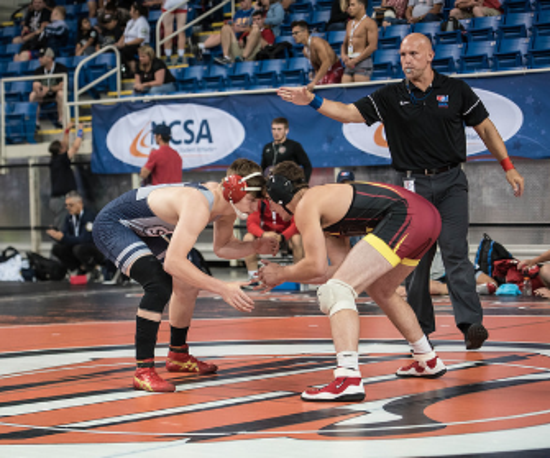 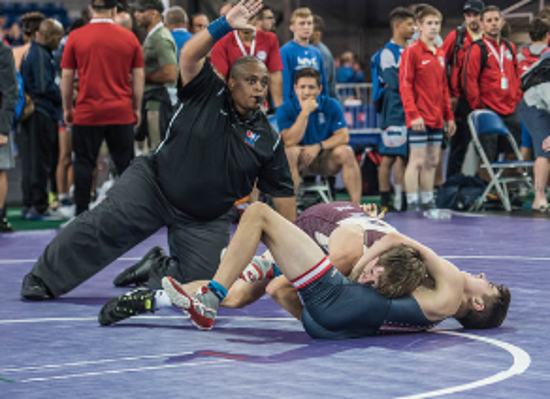 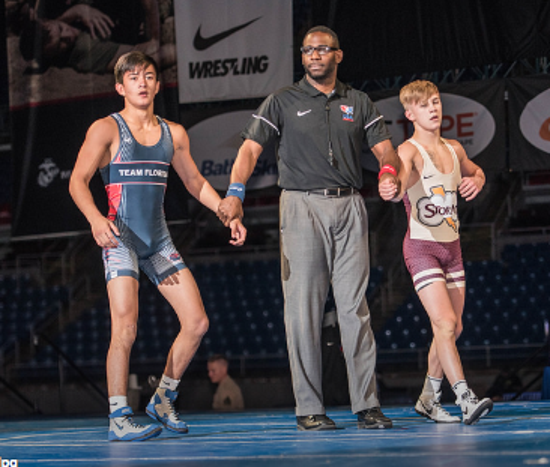 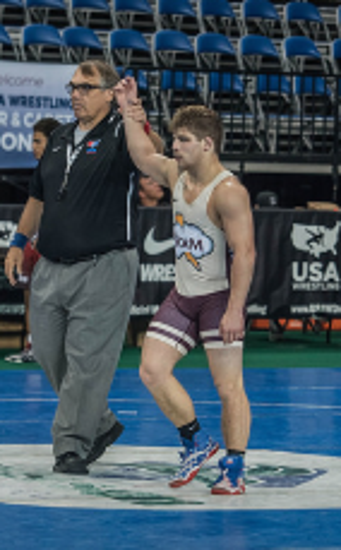 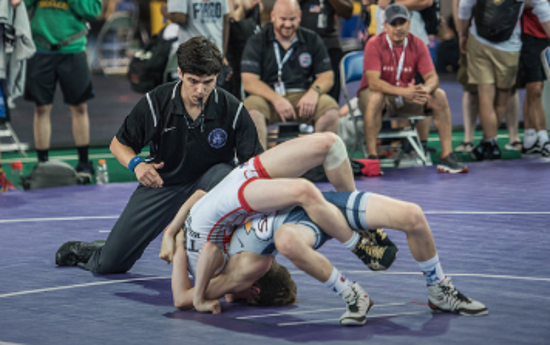 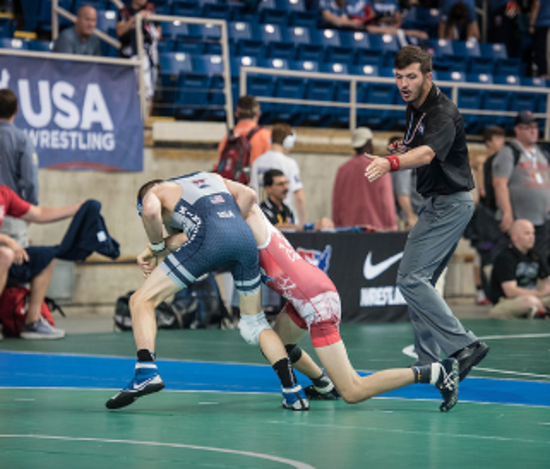 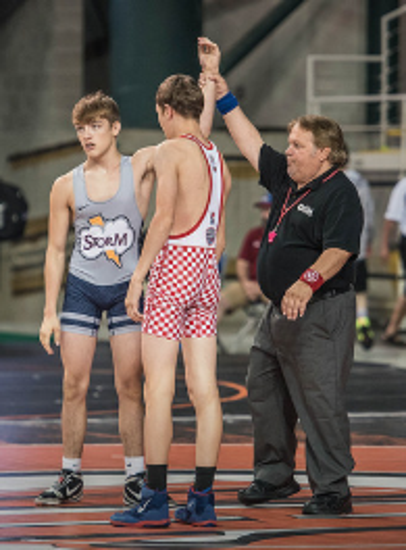 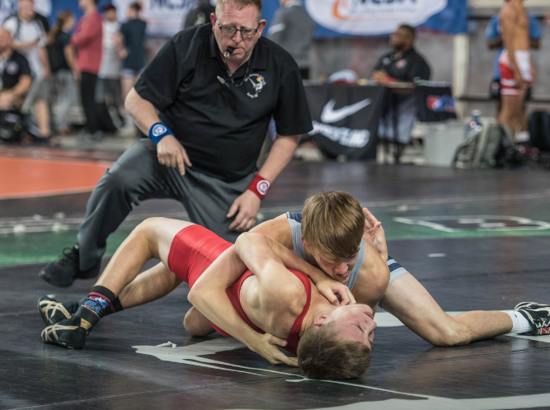 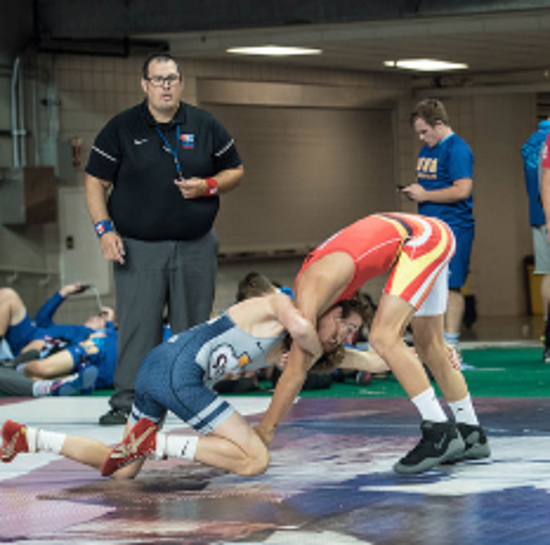 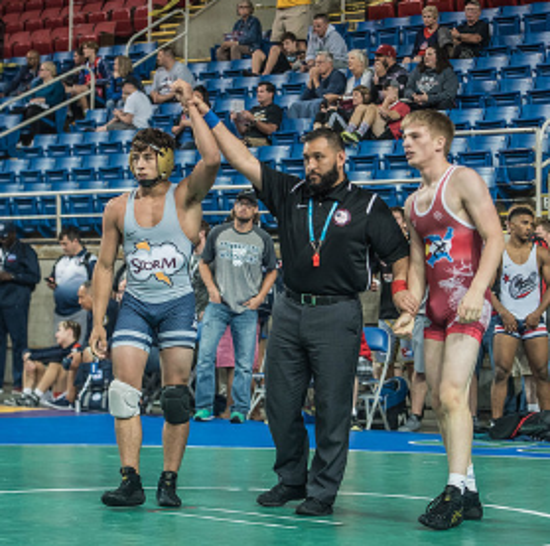 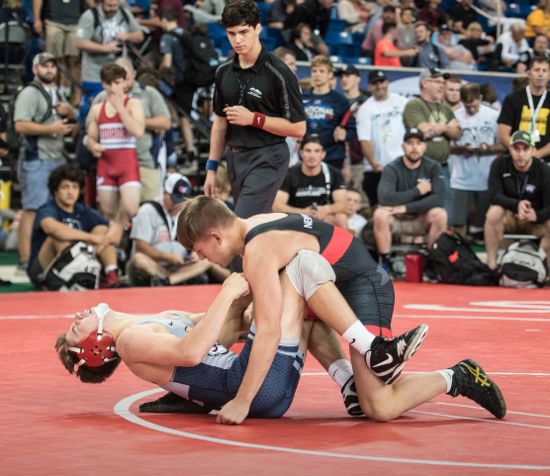 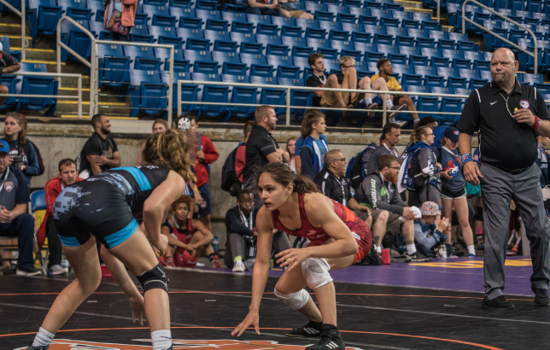 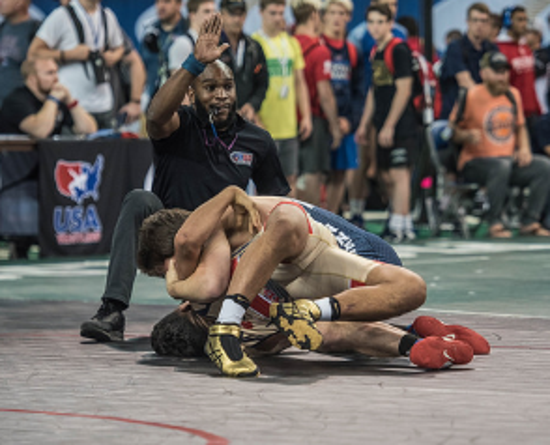 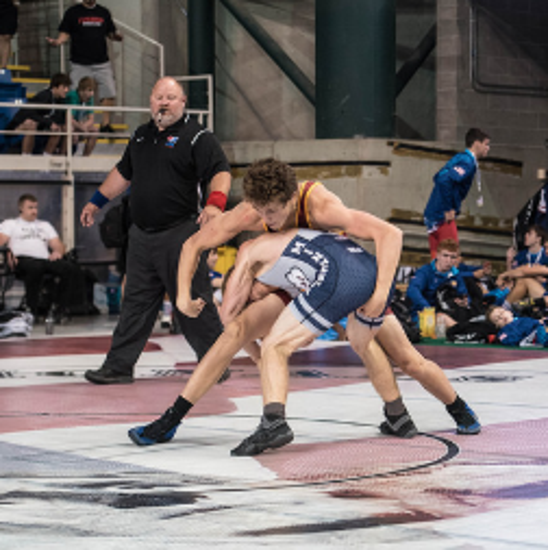 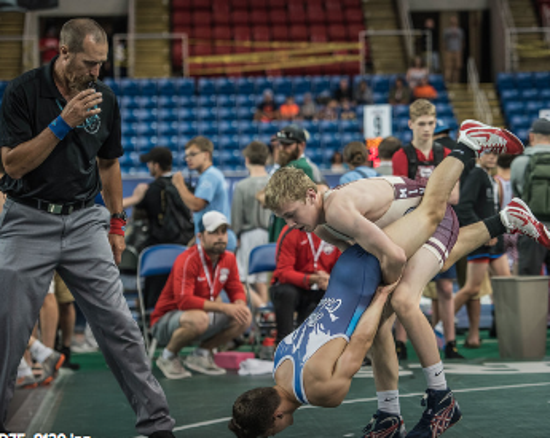 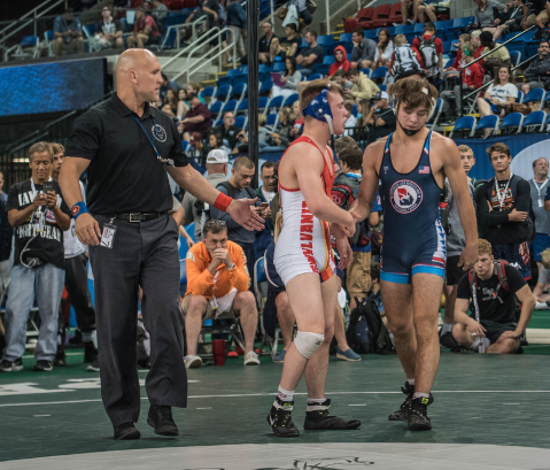 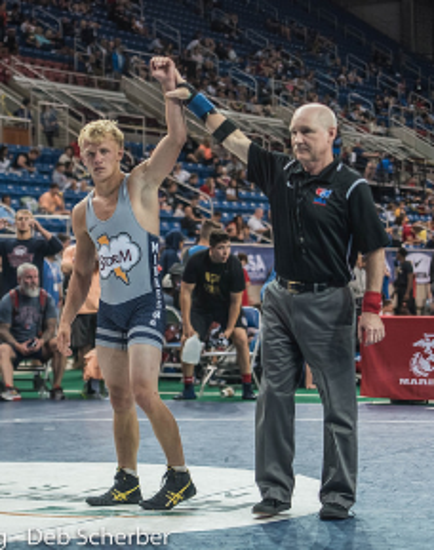 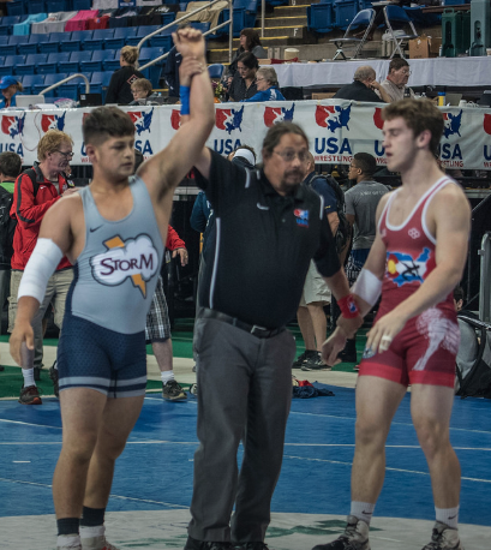 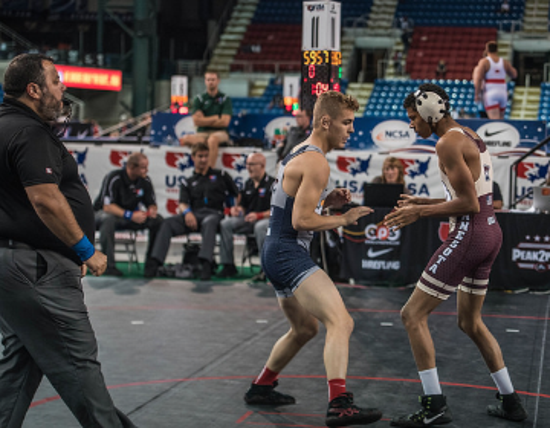 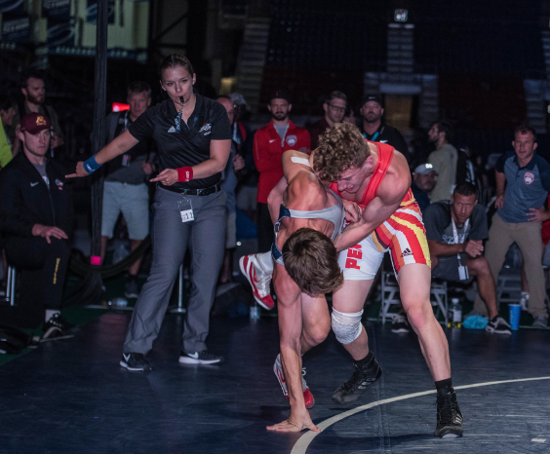 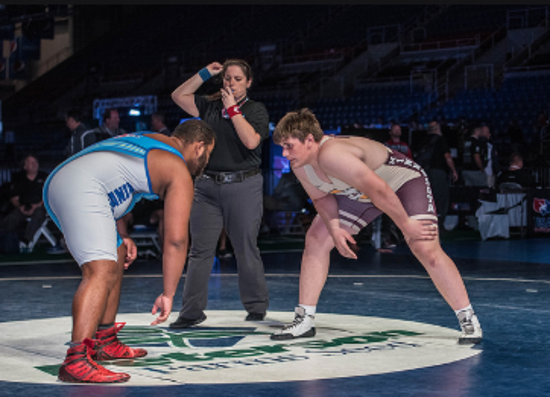 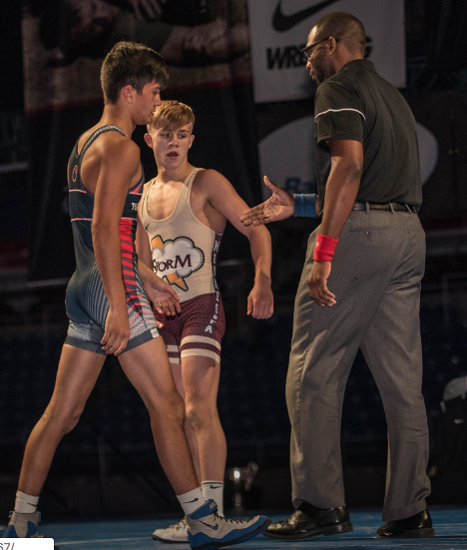 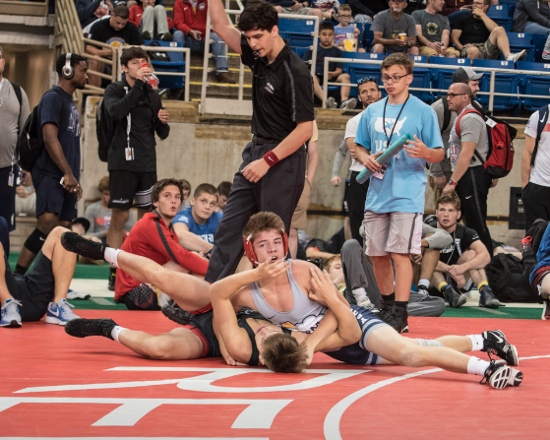 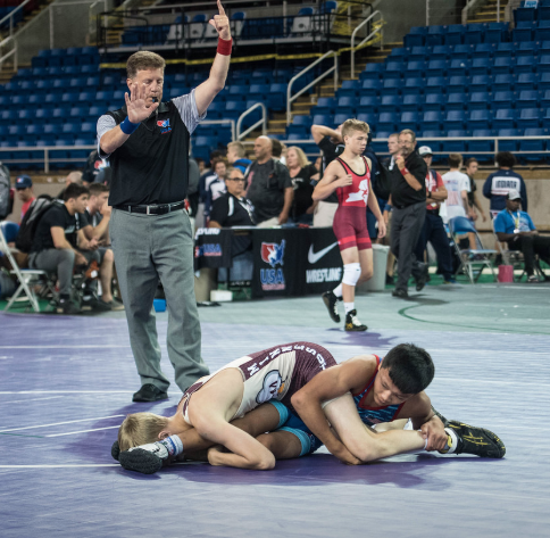 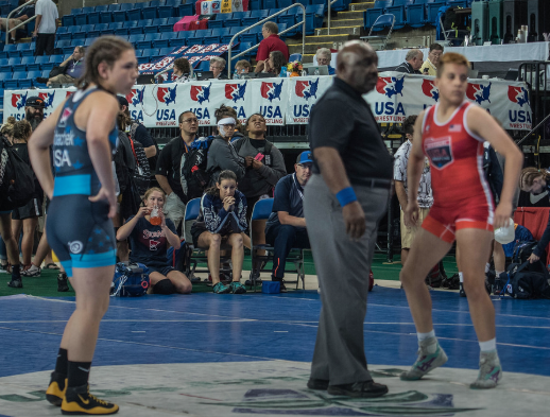 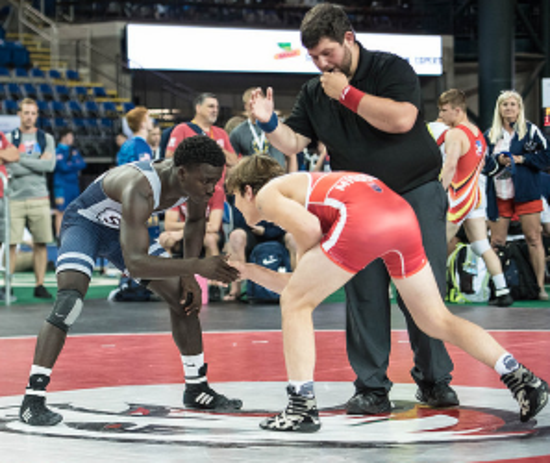 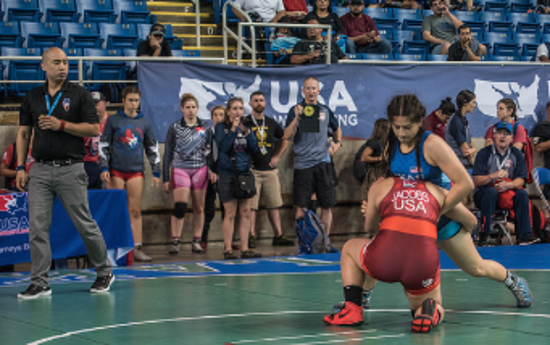 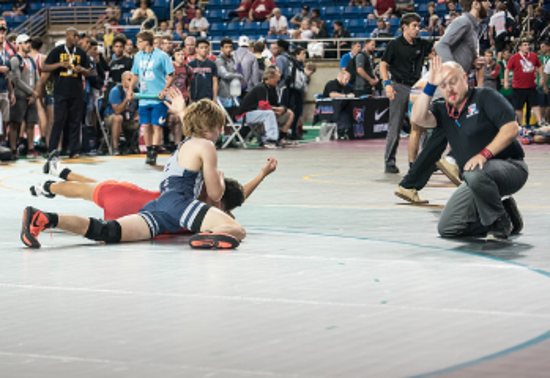 Mission: USWOA will strive to be a top level organization by providing resources, tools and services that develop high performing mat and pairing officials. 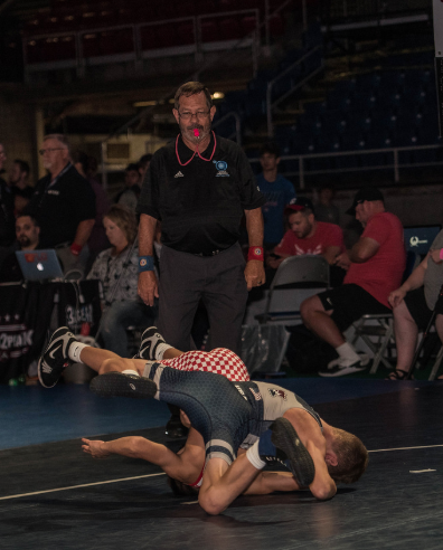 If you notice something that is not working properly on the USWOA website or the information on the site is wrong please send a note to Tom Kuisle. 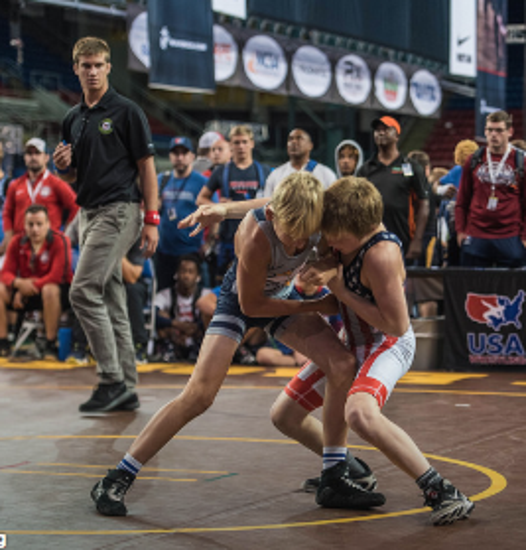 To use this new website and all it's functions such as Tournament Signup you must first create a Sport Ngin account. 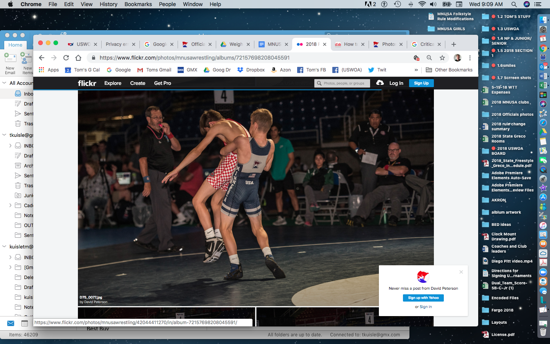 At the very top left of this home page in the red bar is a small "Create Membership" tab. 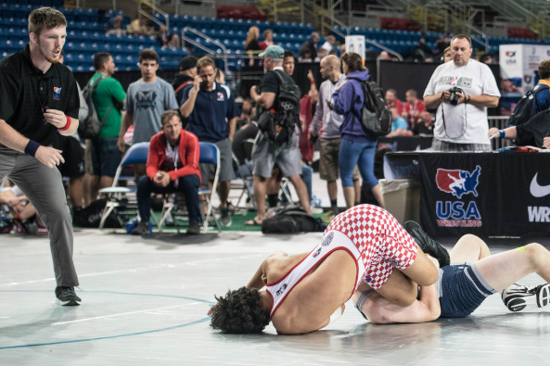 Fill out the page that appears. 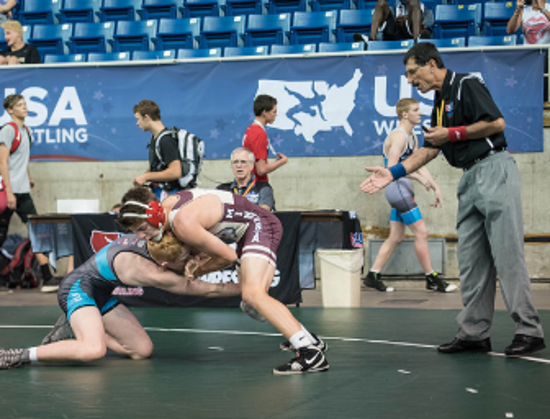 Once you are done with this you can login and use more of the features on this website. 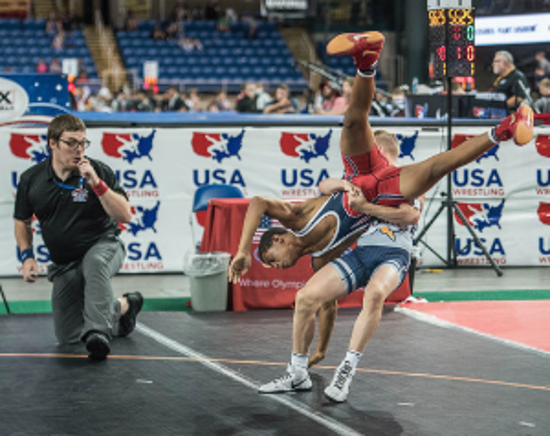 Each time you return to the USWOA site you must login if you need to access all the functions on this site. 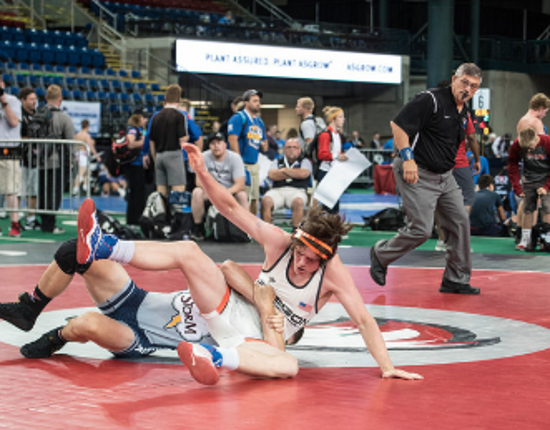 Stay connected. 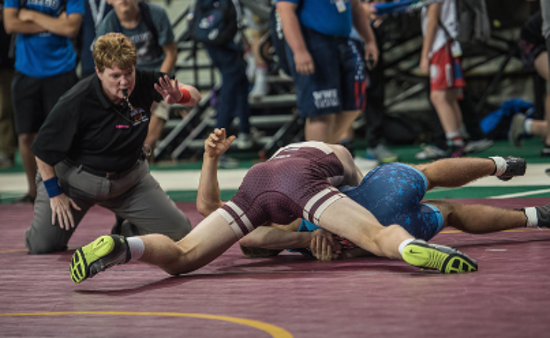 Below you will find the USWOA Social Media feeds plus an email link to "Ask the Ref"
Referee article "MOVING WITH A PURPOSE"
to find past articles written by USWOA members for the purpose of education and information.